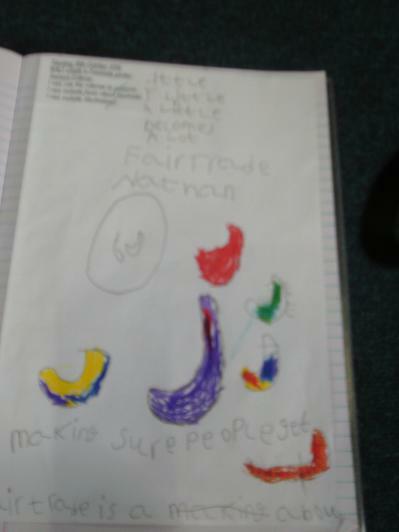 Due to our class page having a recent update, all examples of the children's hard work and efforts will now be placed in a page named 'Examples of Work'. 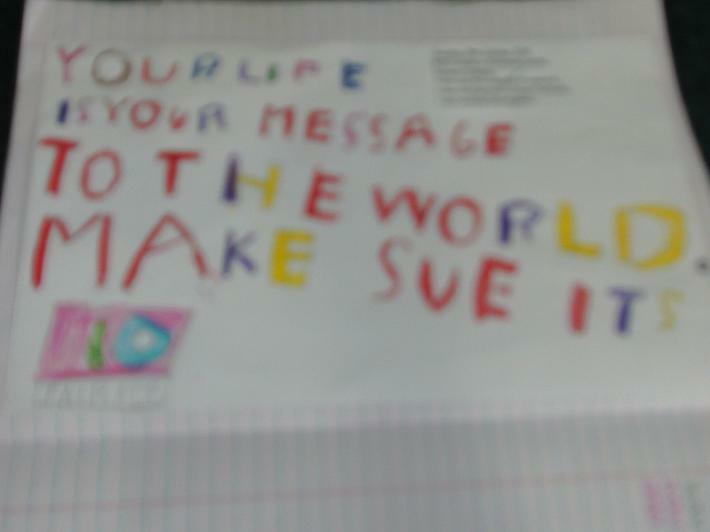 You will find this page above this message. 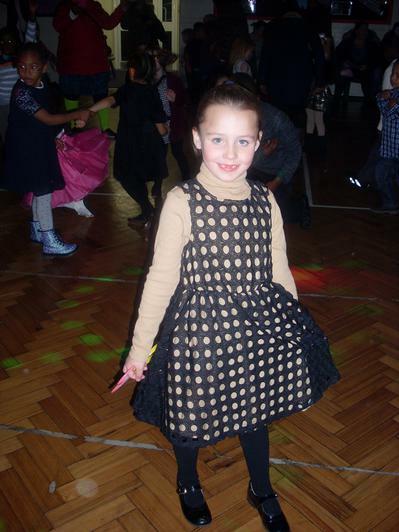 All you have to do is click on the yellow star to enter the page. 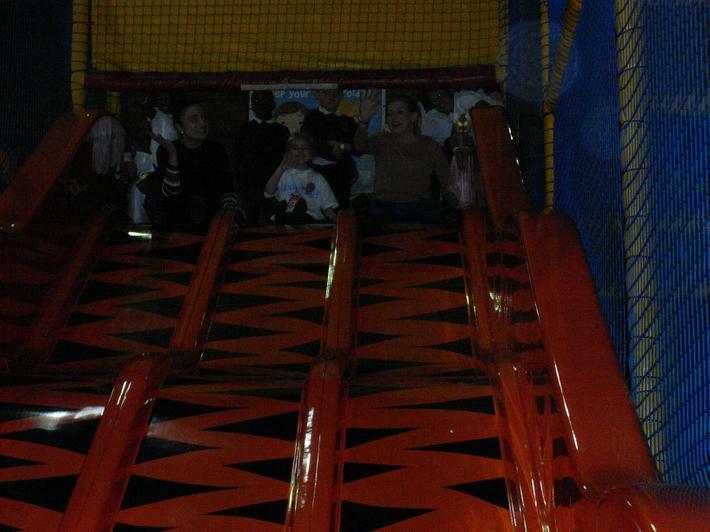 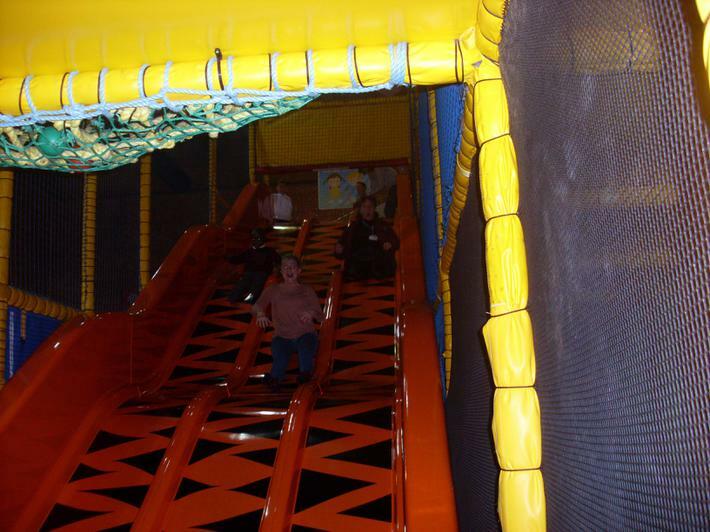 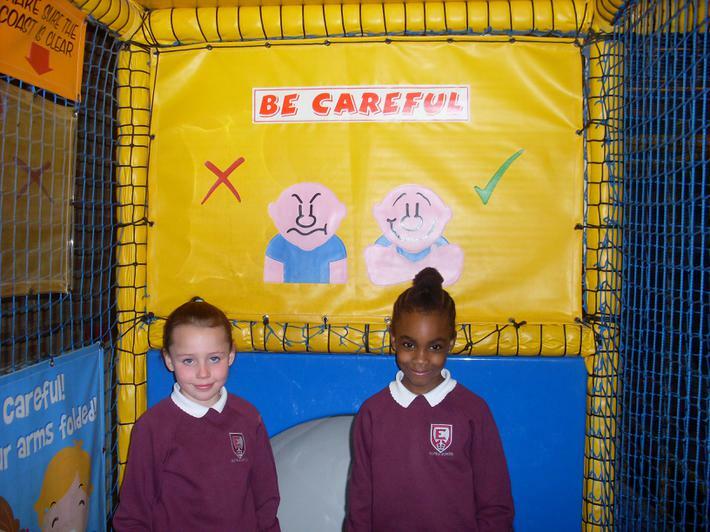 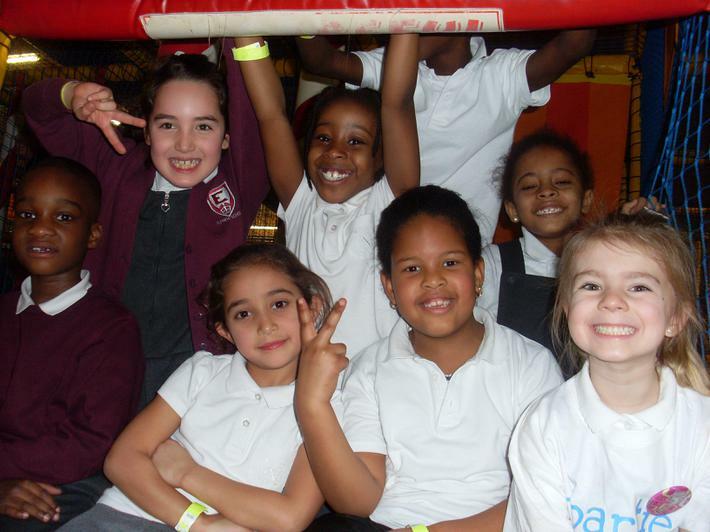 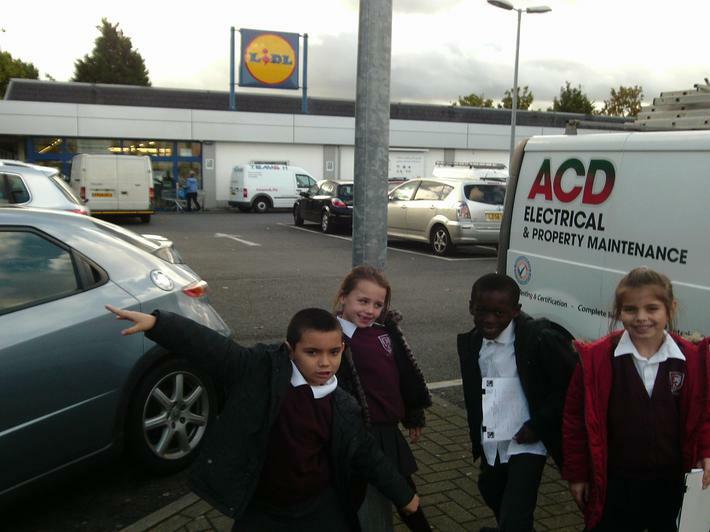 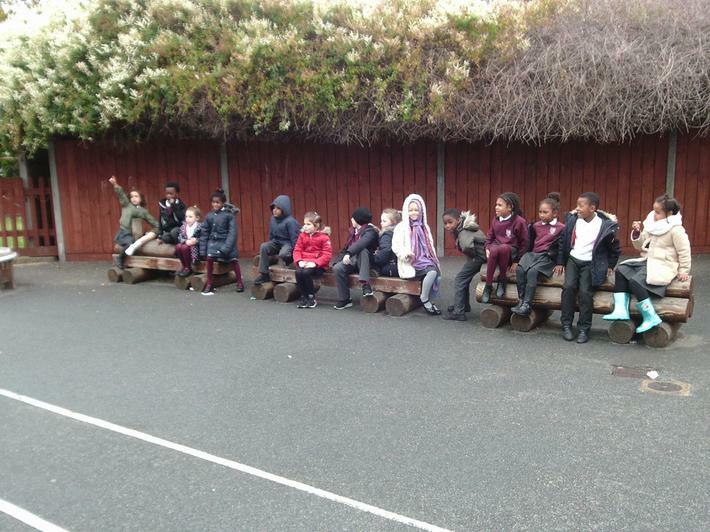 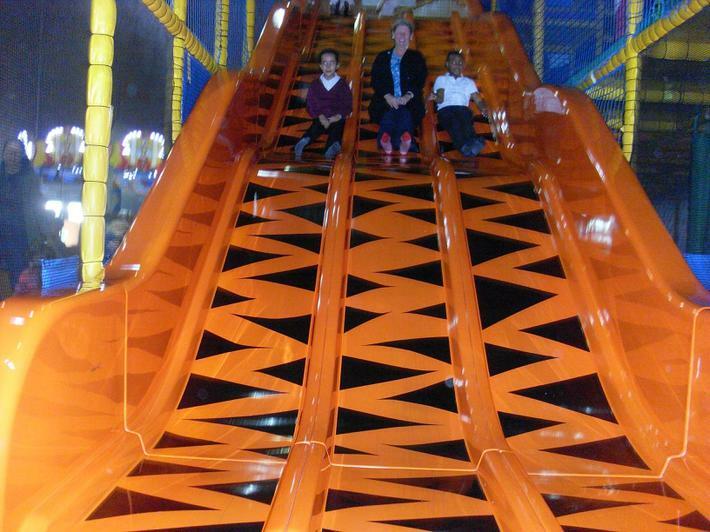 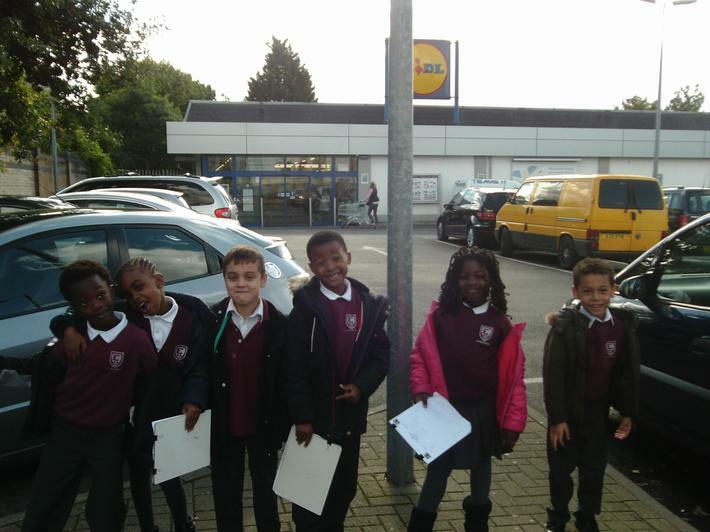 Today, the Year Two team were lucky enough to go on a school trip to gambados as part of our topic 'The local area'. 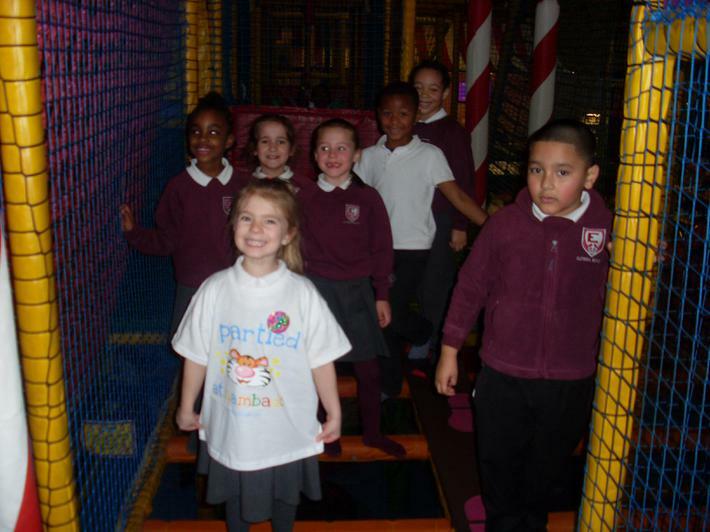 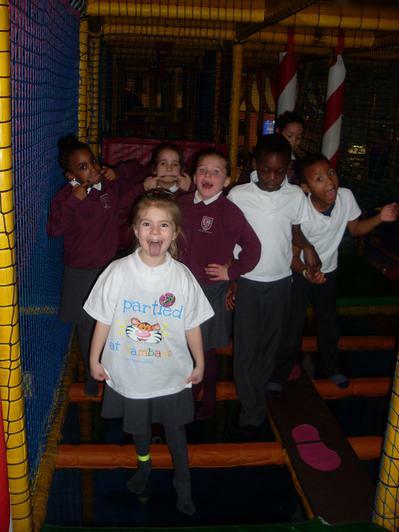 All the children and adults who came had a fantastic day and we even got to celebrate a birthday whilst we were there. 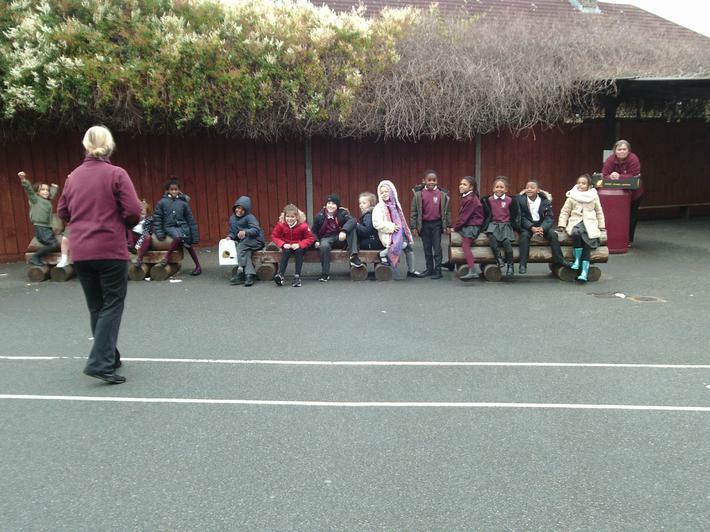 We would also like to thank all of the parents who took the time to join and support us on the trip. 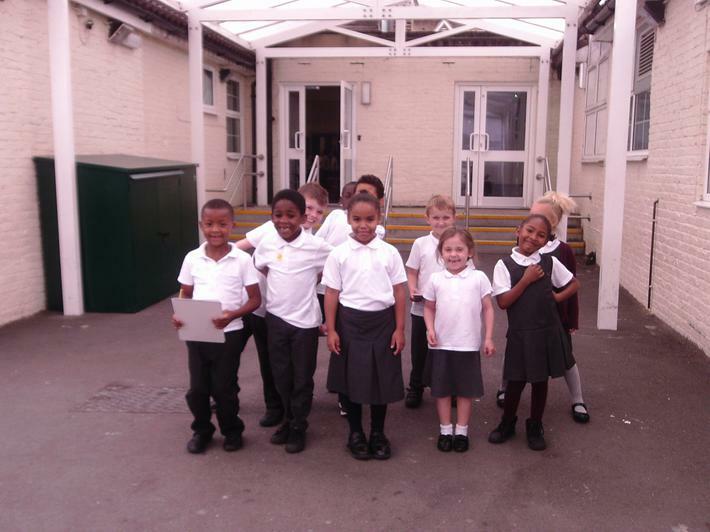 We really enjoyed having you there. 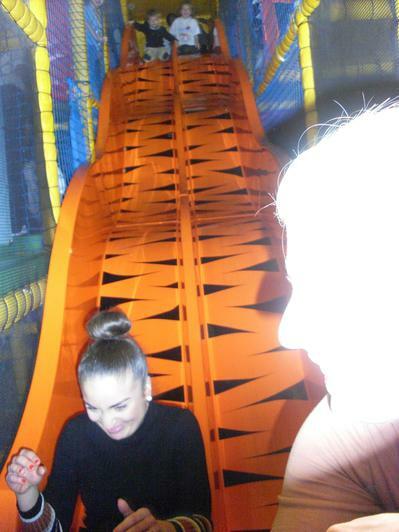 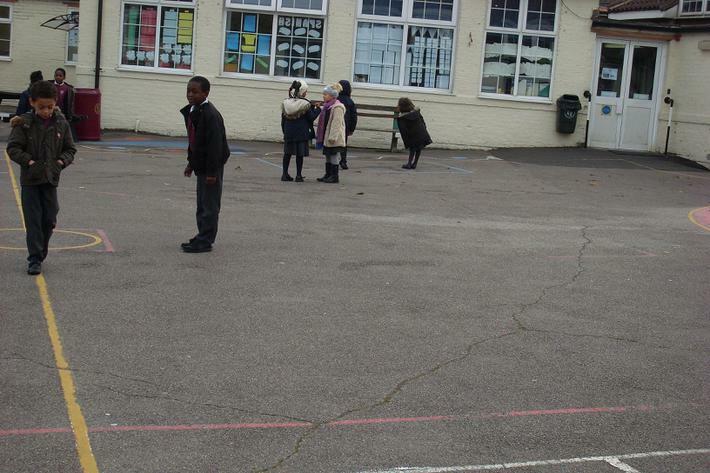 Below are some pictures of us all having fun. 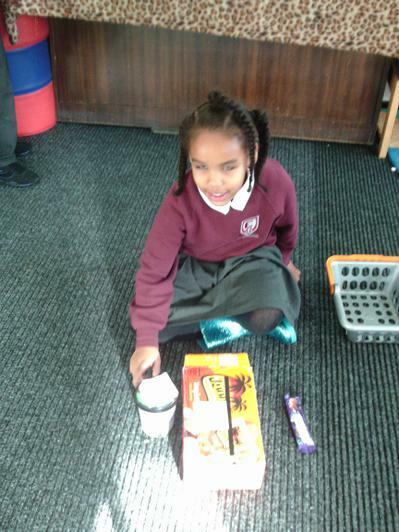 Reion was rewarded for hard work and great behaviour today. 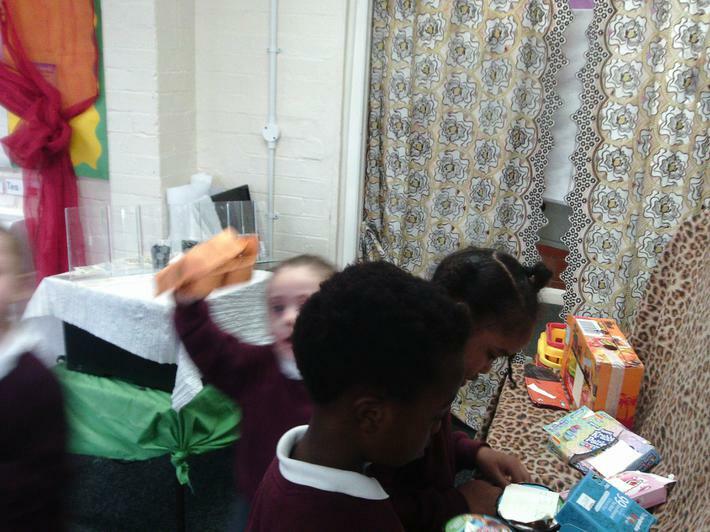 He got to decorate the school Christmas tree with Ms Wong and a few other children! 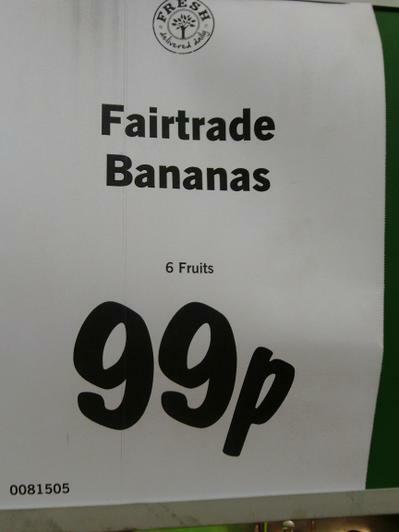 Wow, well done. 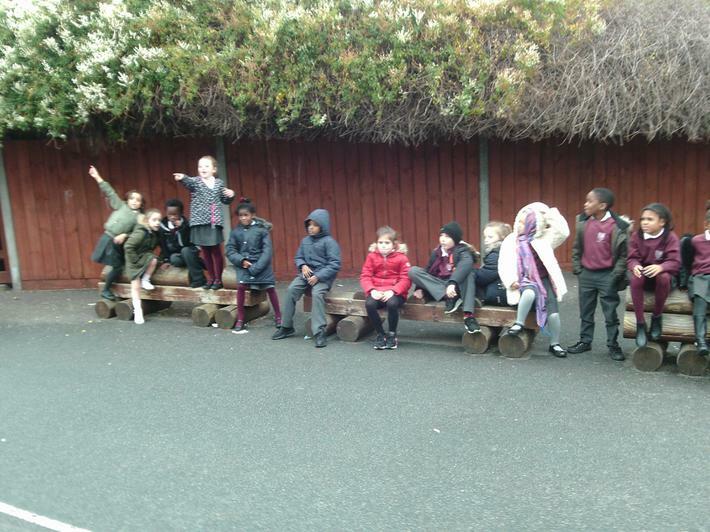 The tree looks Great! 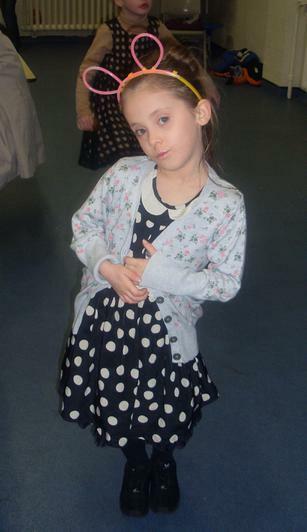 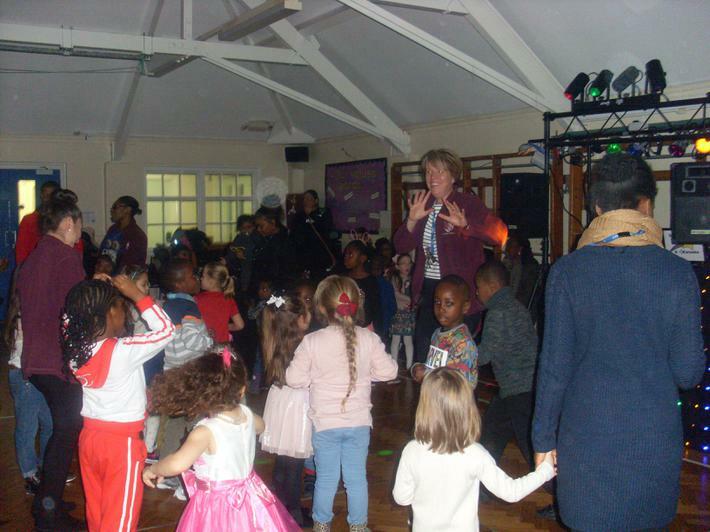 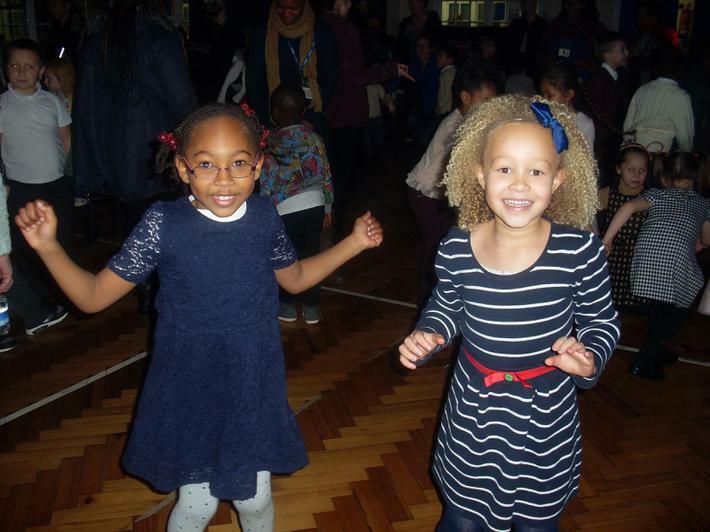 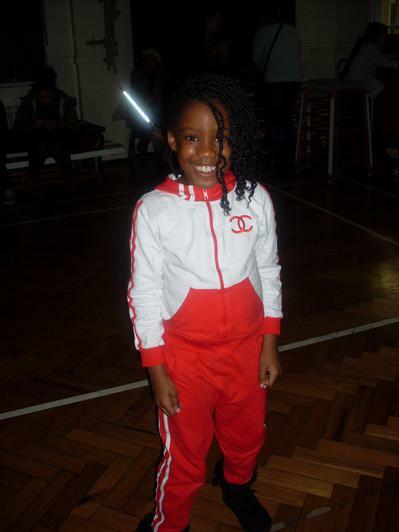 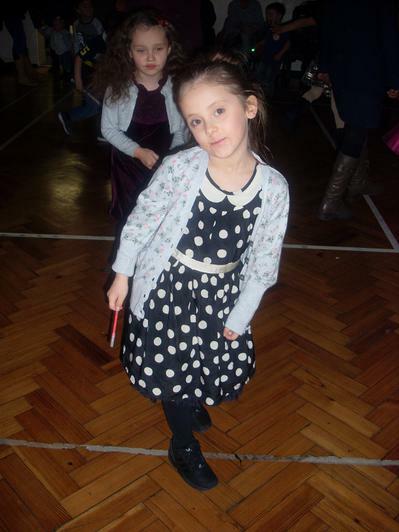 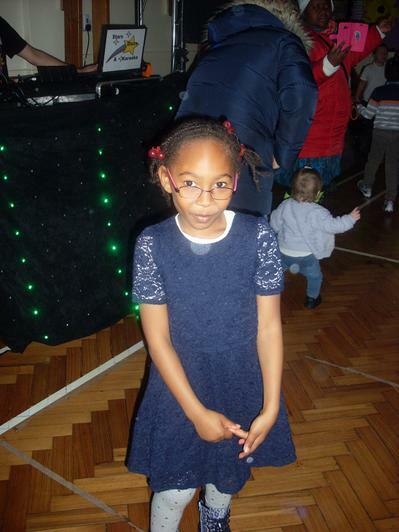 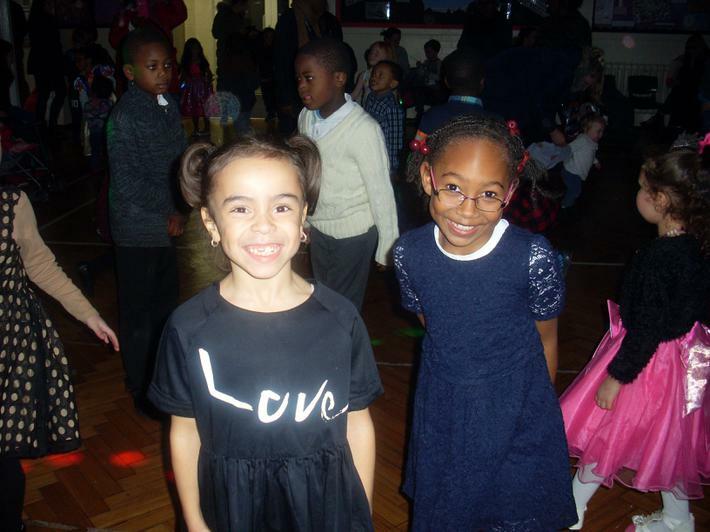 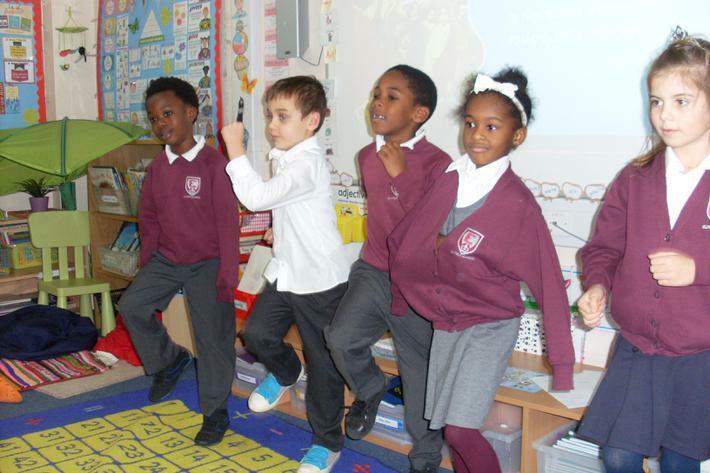 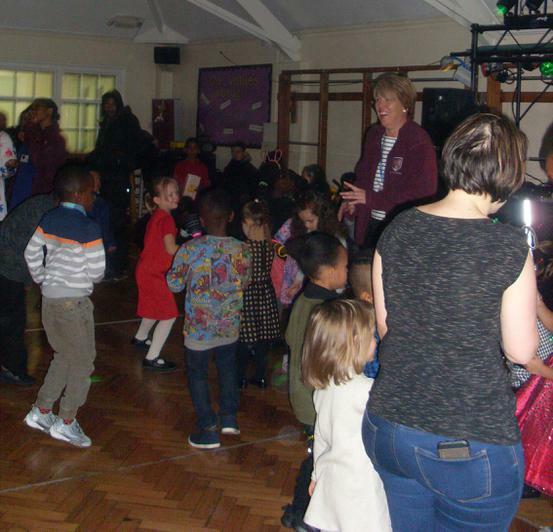 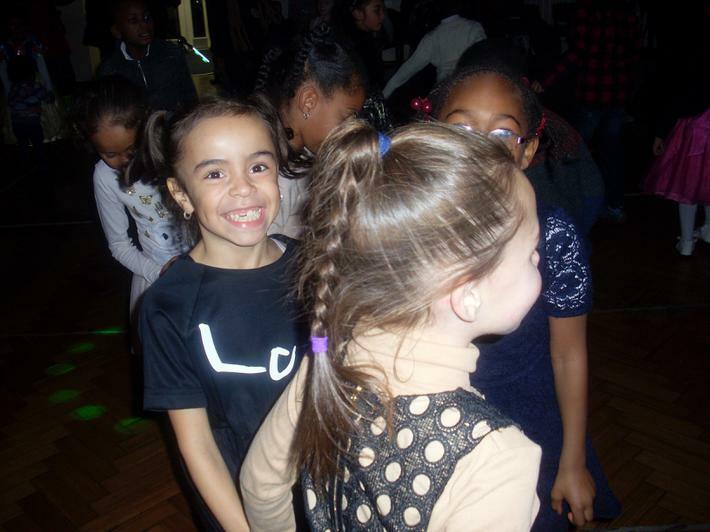 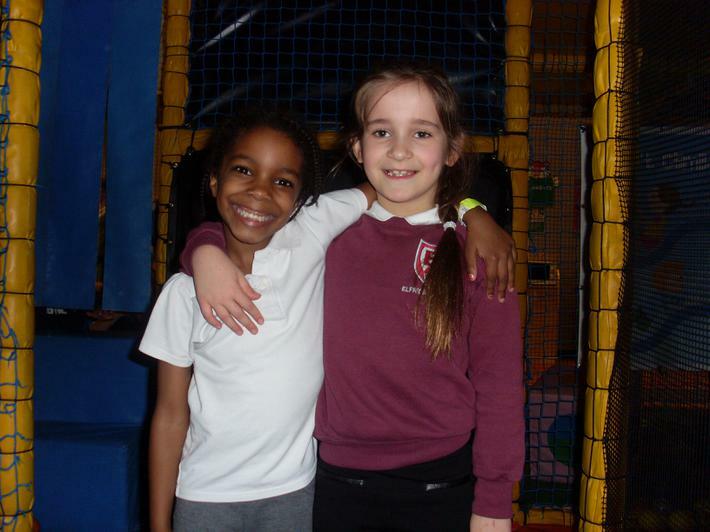 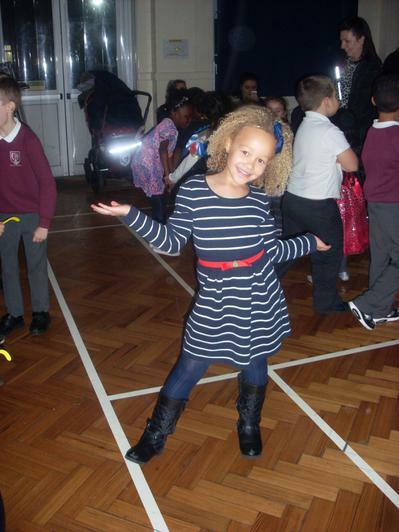 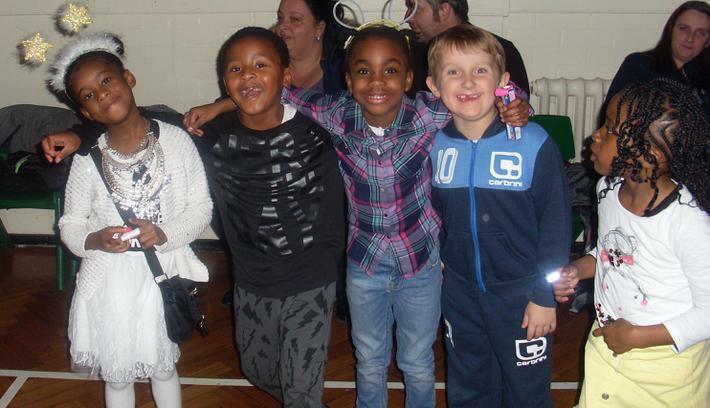 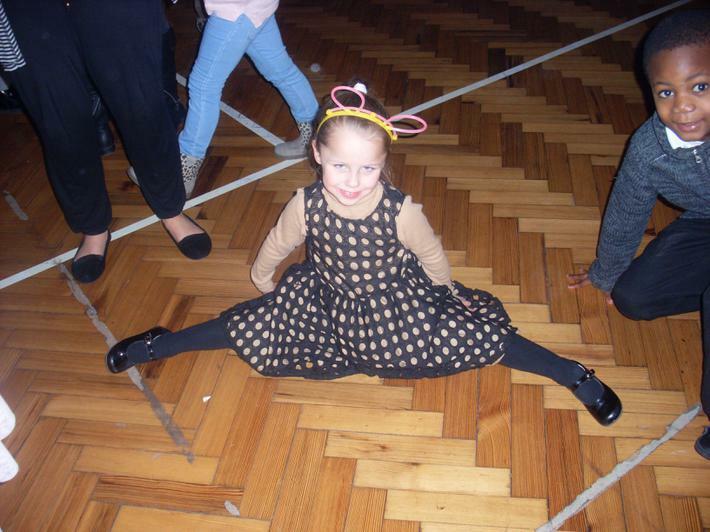 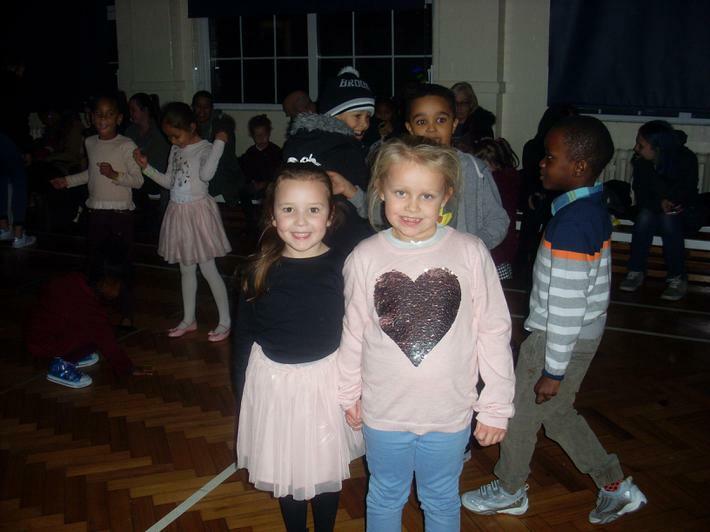 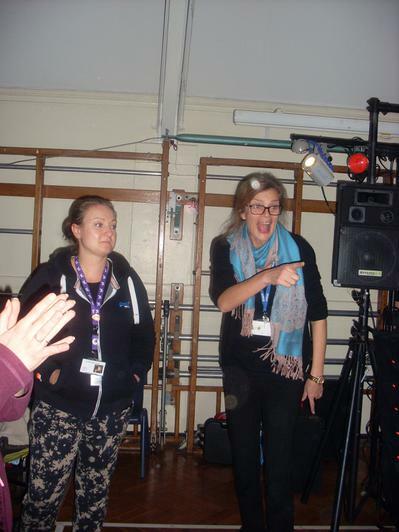 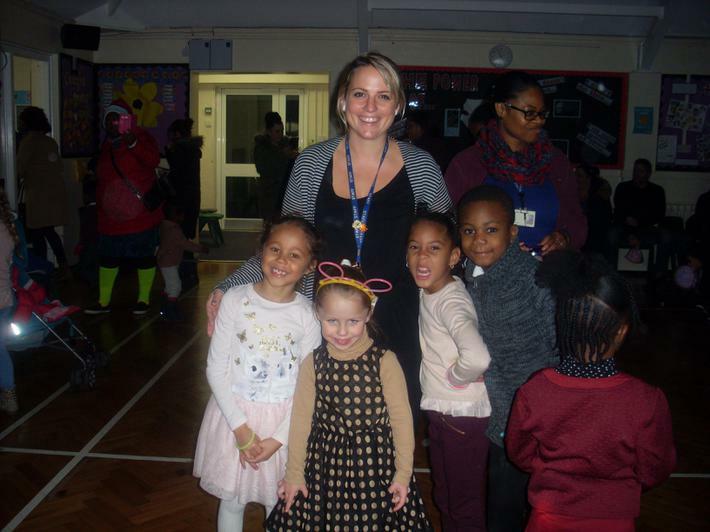 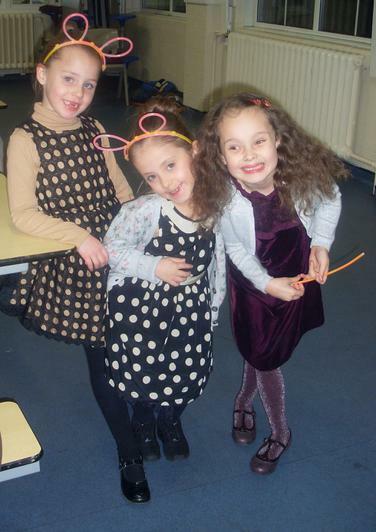 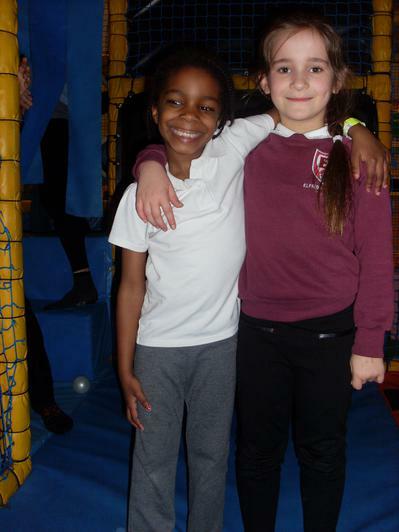 Below are some images of the wonderful Pine Class and friends at the KS1 winter disco. 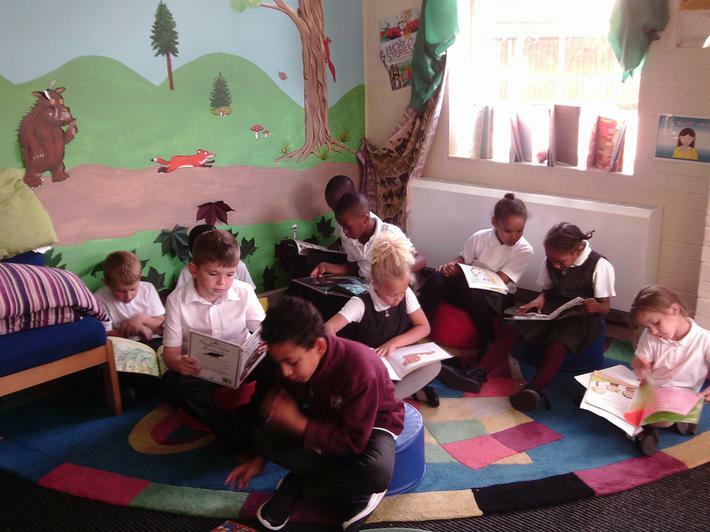 Below is a link to access interactive learning areas for your child to access at home as well as at school. 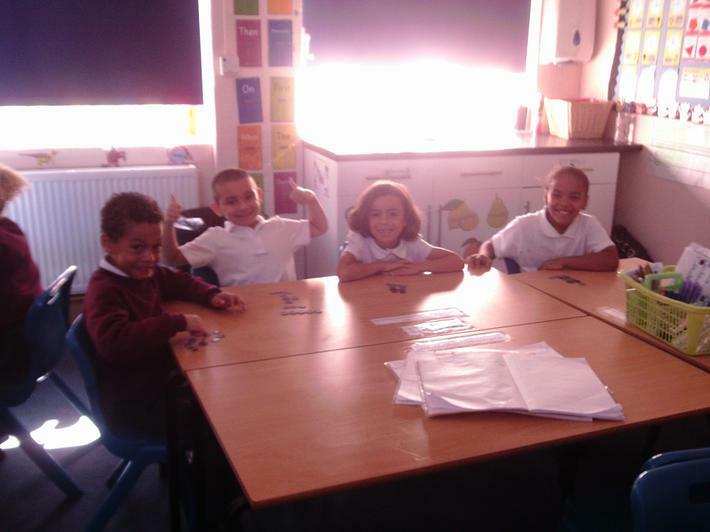 By clicking the link below the children can access Abacus (for maths games) Bug Club (for reading and comprehension activities) and Grammar Bug ( for spelling and grammar activities). 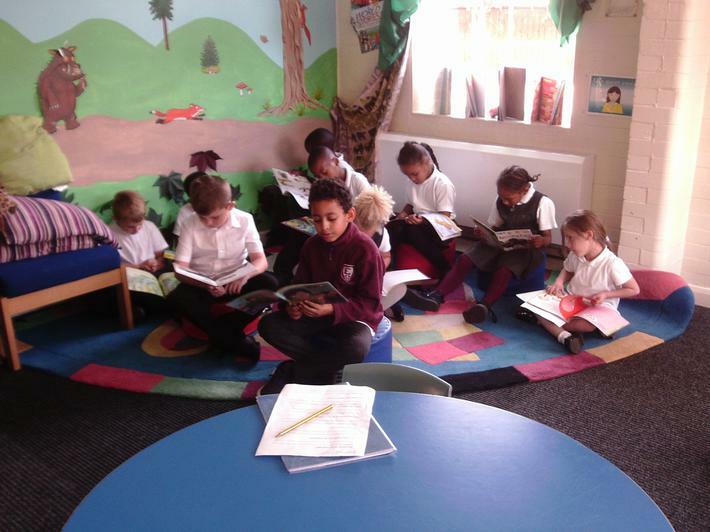 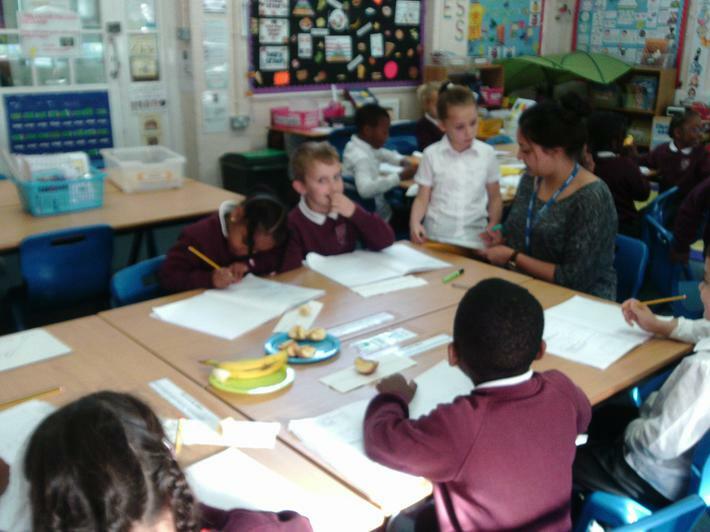 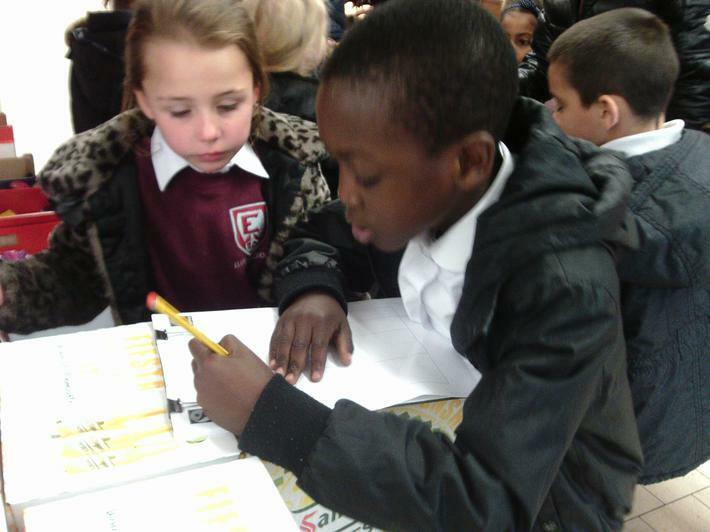 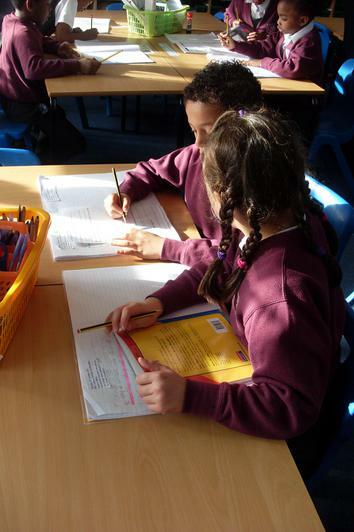 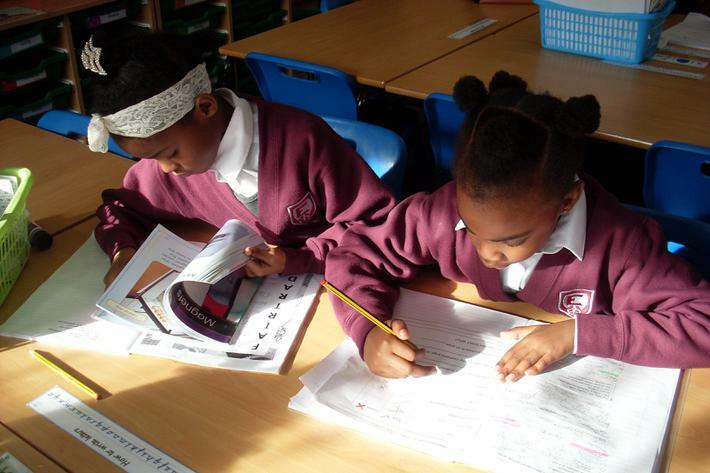 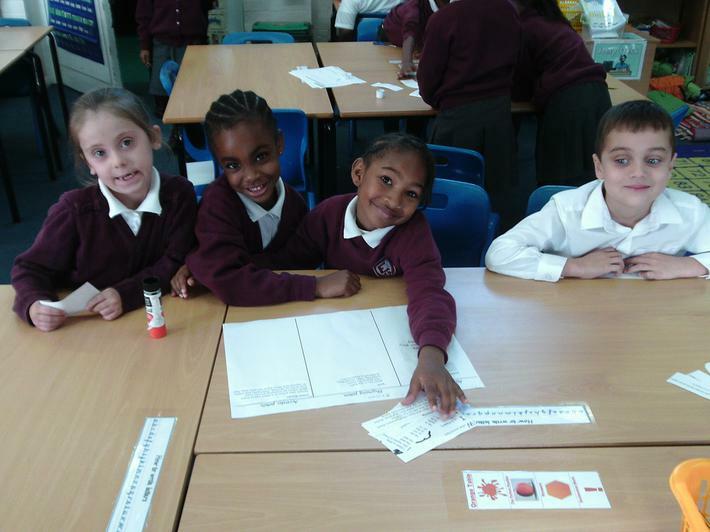 All children are regulary allocated the above activities and can complete them at home and at school. 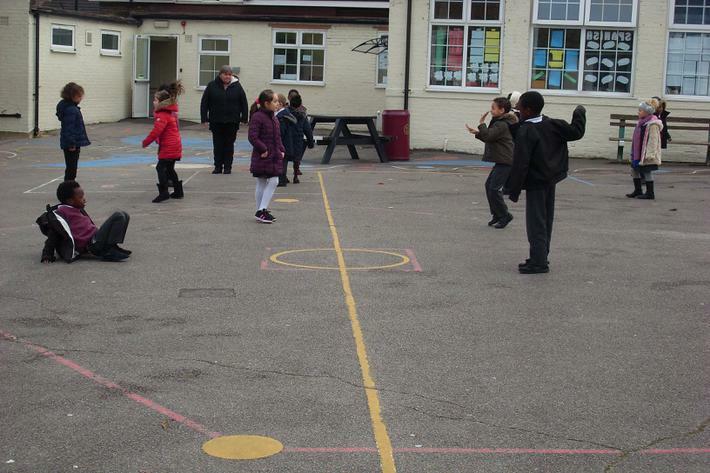 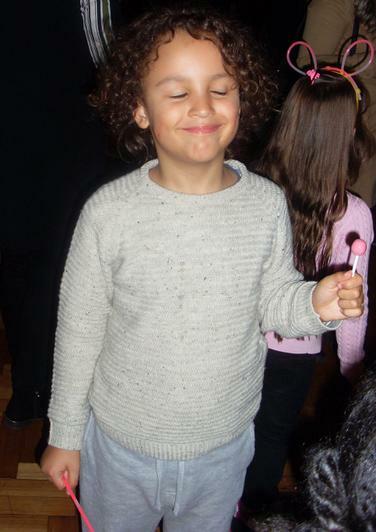 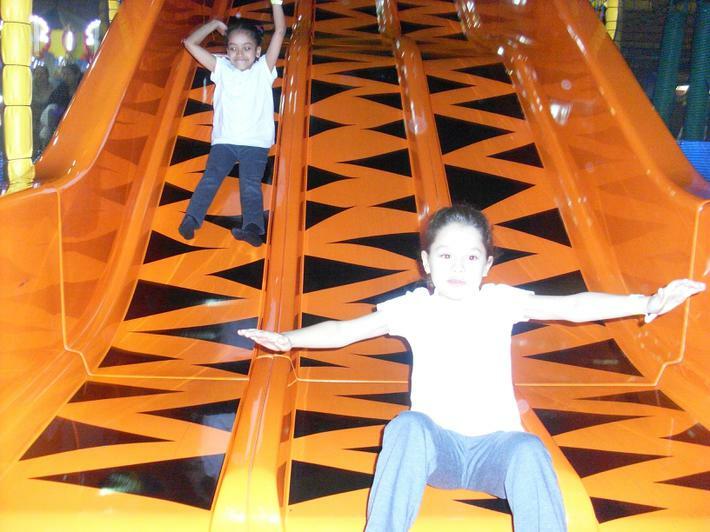 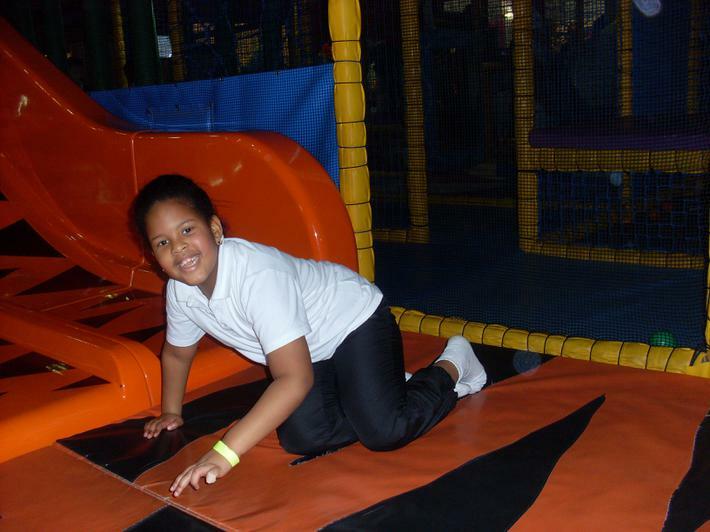 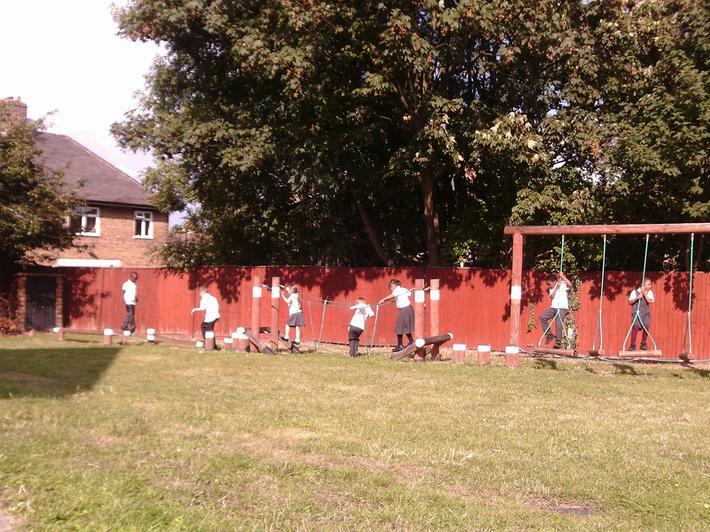 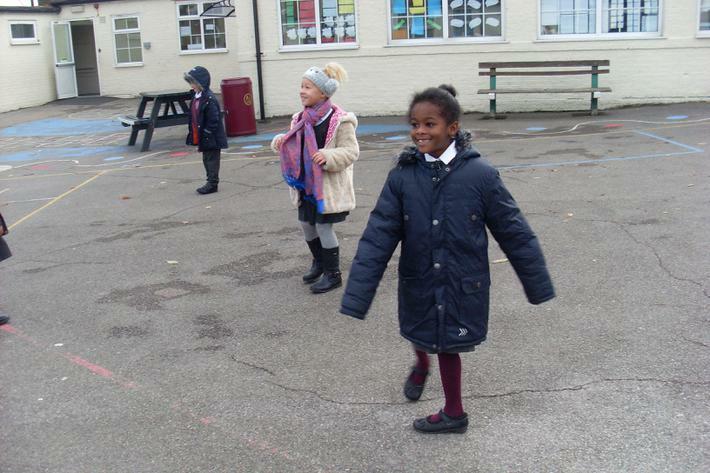 All activities are linked to the current curriculum and the children are able to learn whilst having fun! 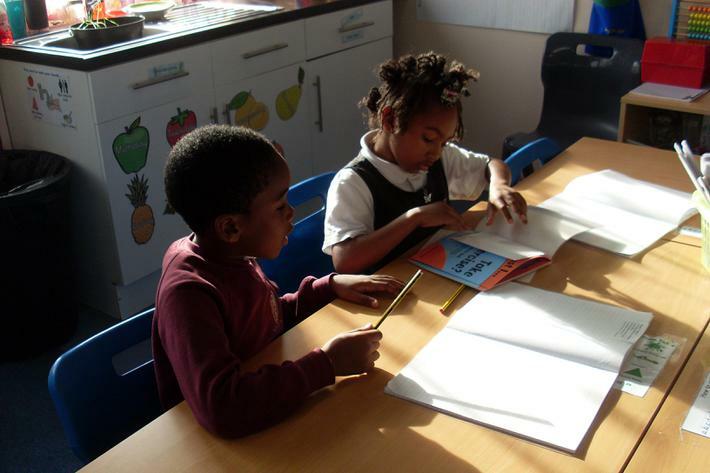 To log in the children need to simply enter their first name into the username section (some children may be required to type the first letter of their suraname but most do not have to do this). 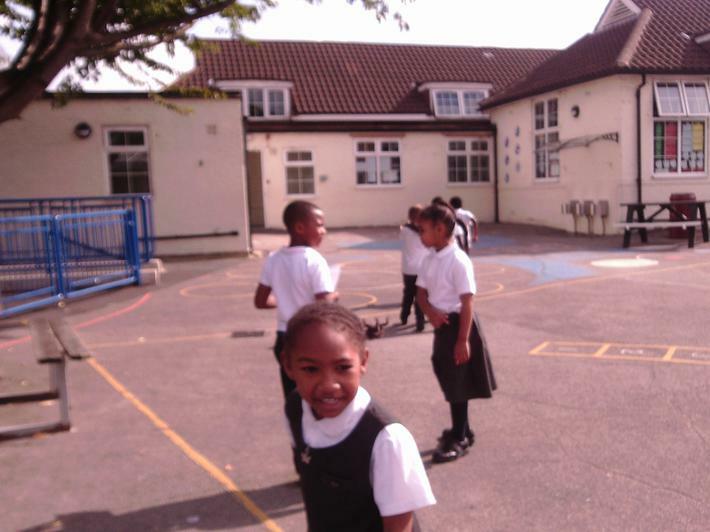 Children are then required to type the word school into the password section, followed by the school code which is elfr . 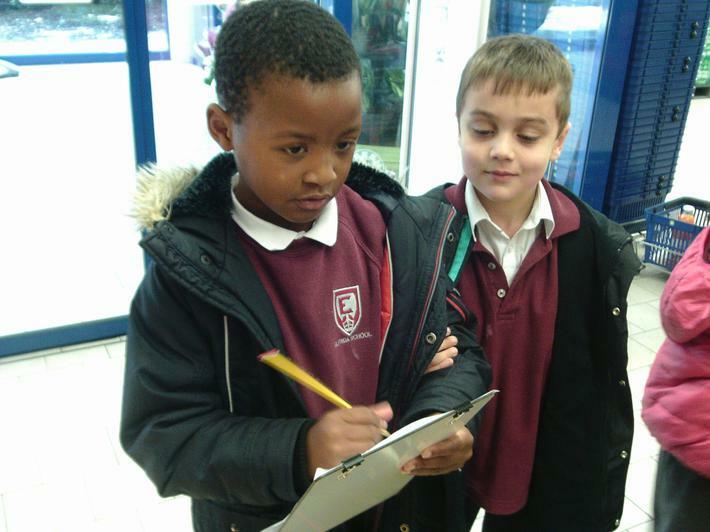 Most children know their login details as they are able to access Abacus in school. 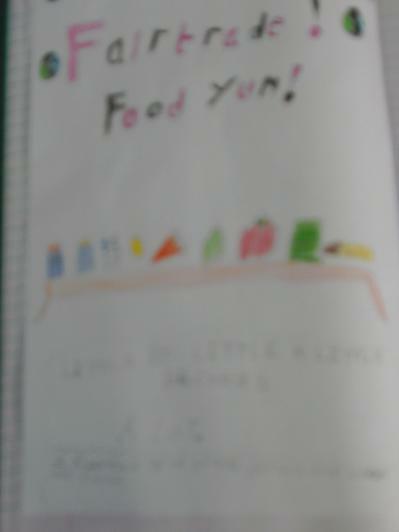 However, if they have forgotton there is an example displayed below. 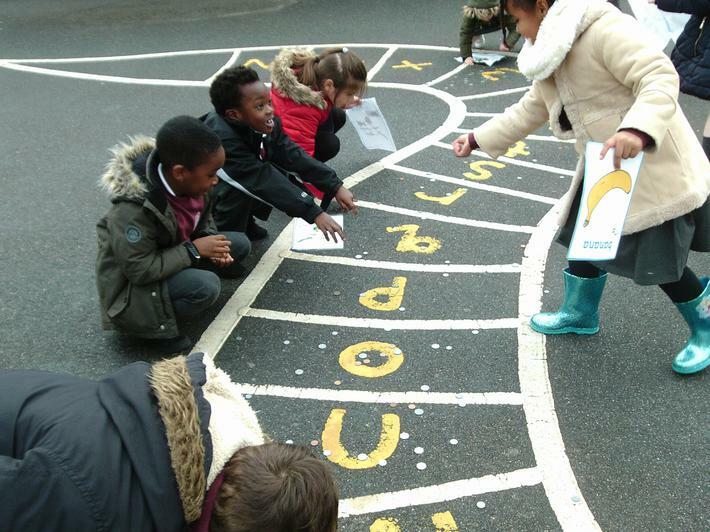 If any further help or information about Abacus is required, please just ask. 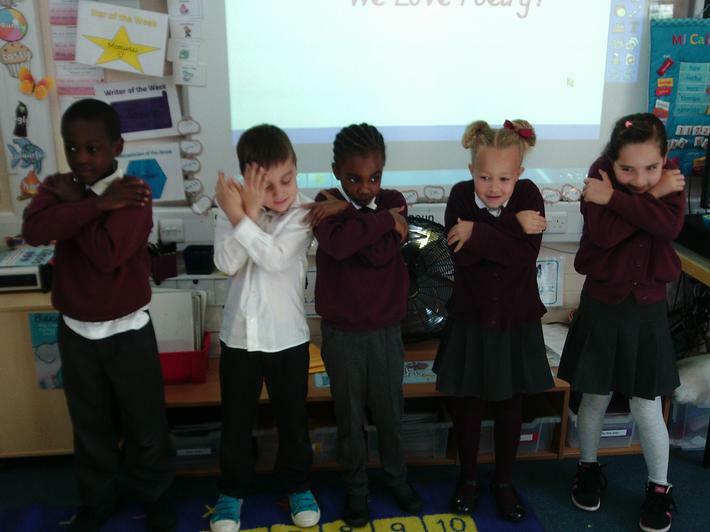 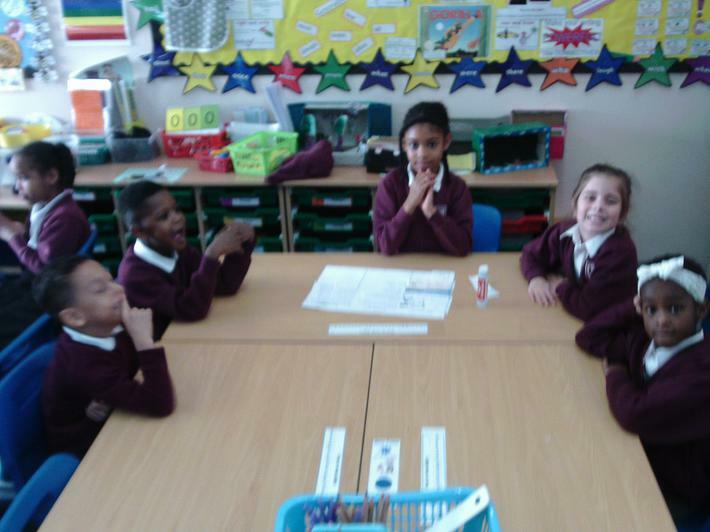 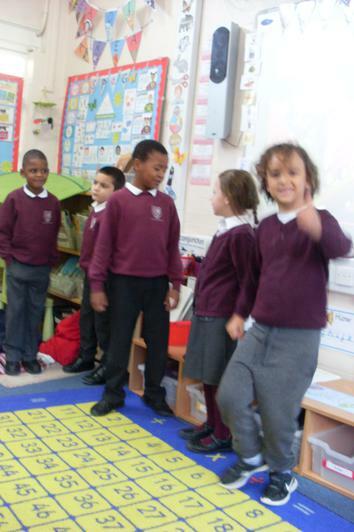 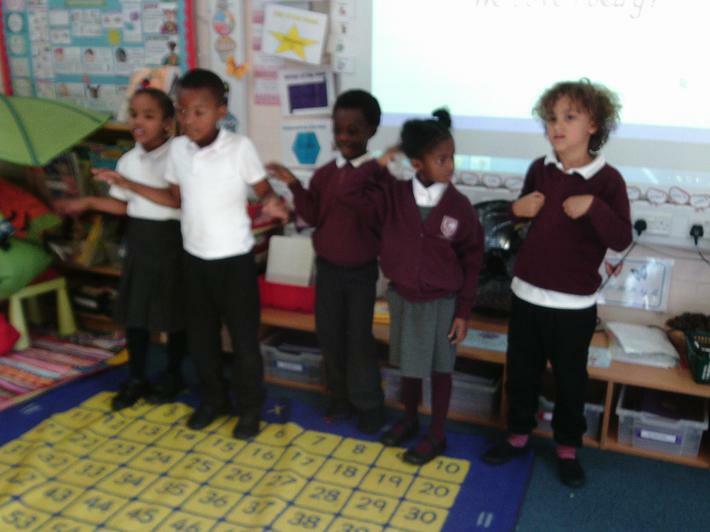 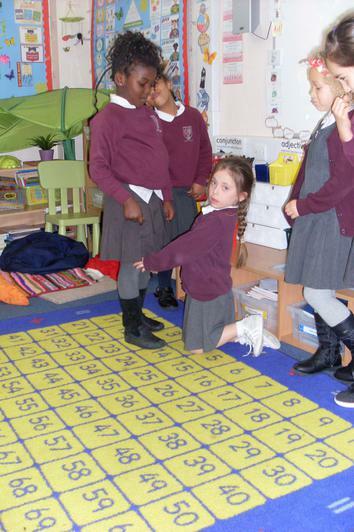 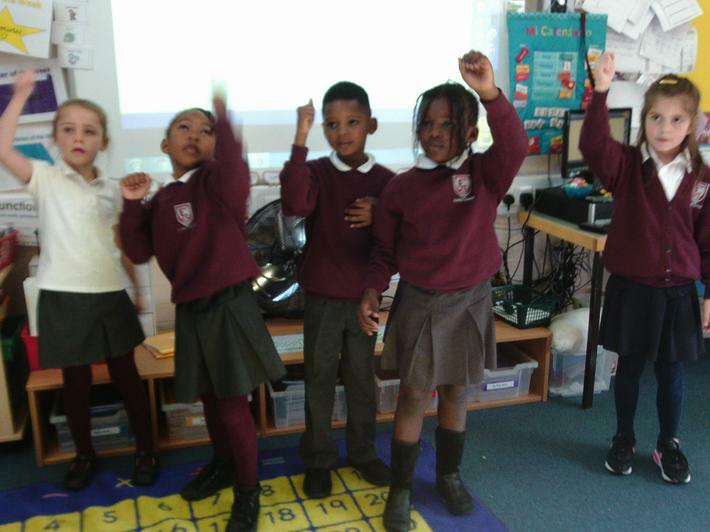 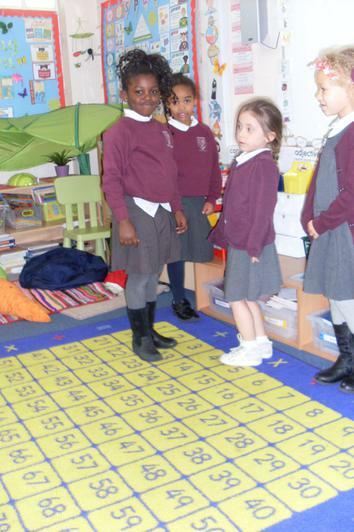 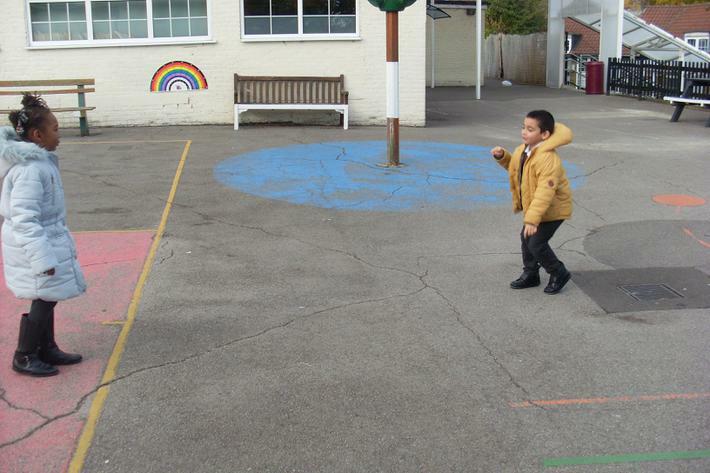 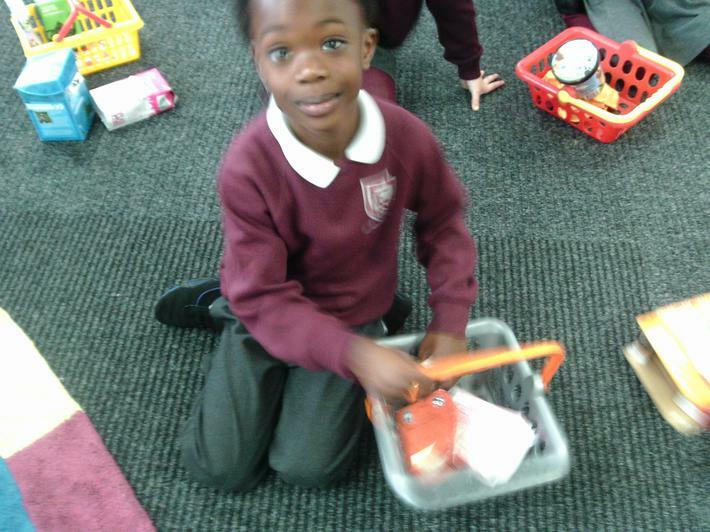 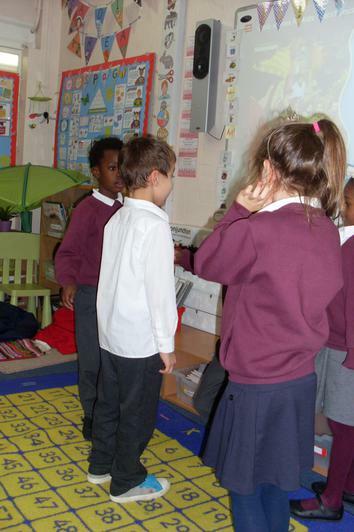 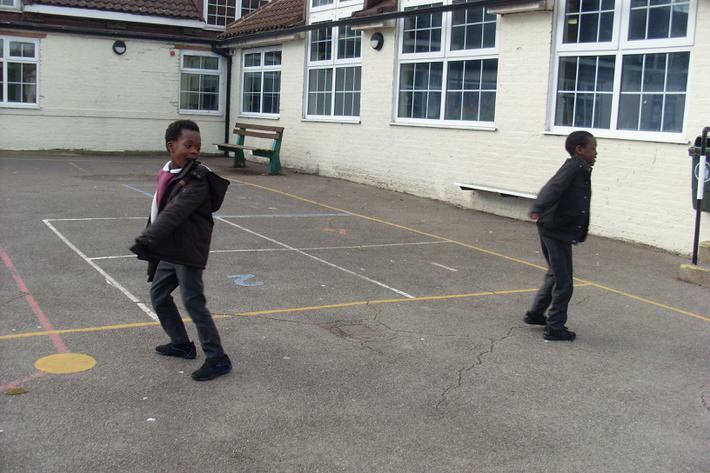 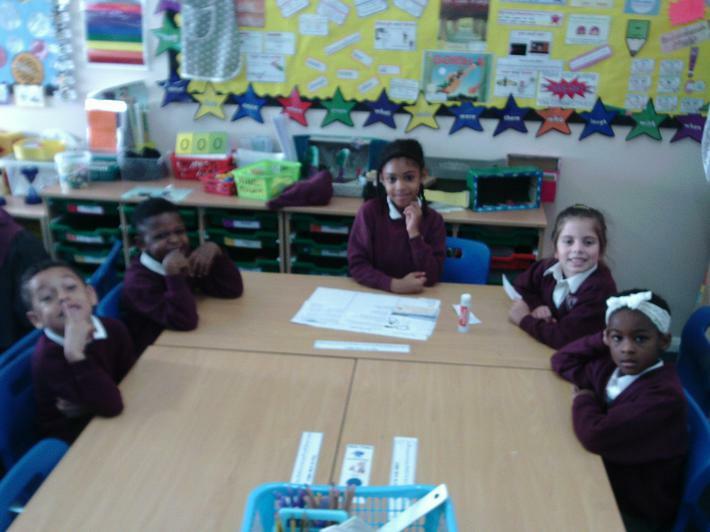 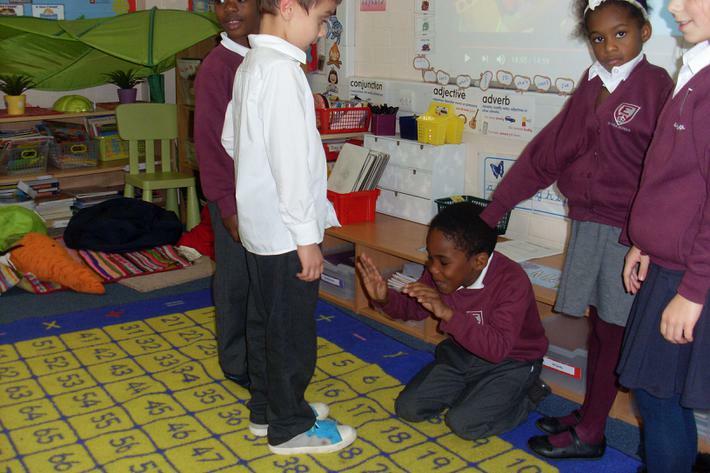 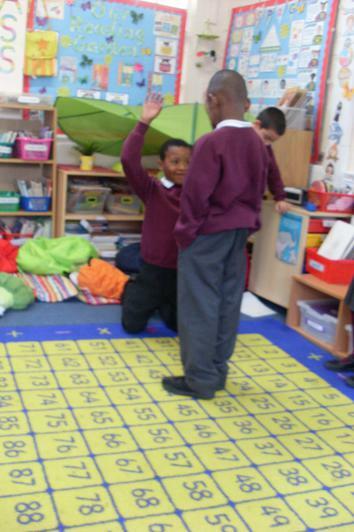 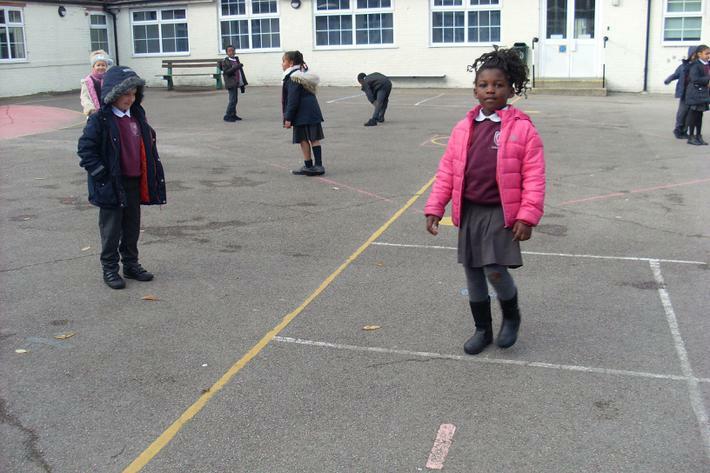 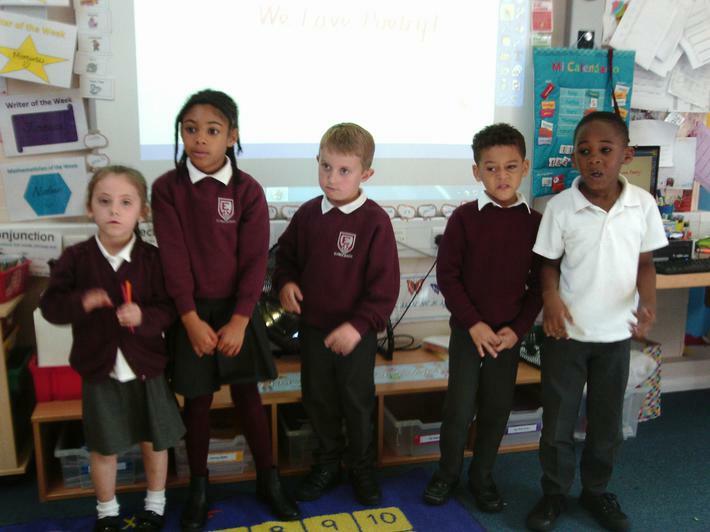 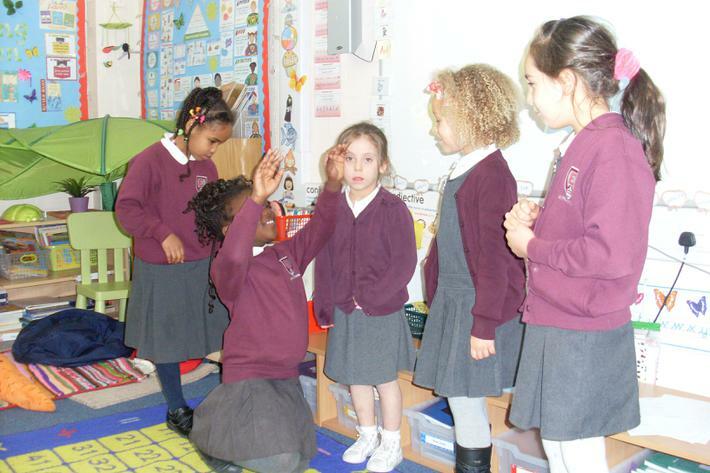 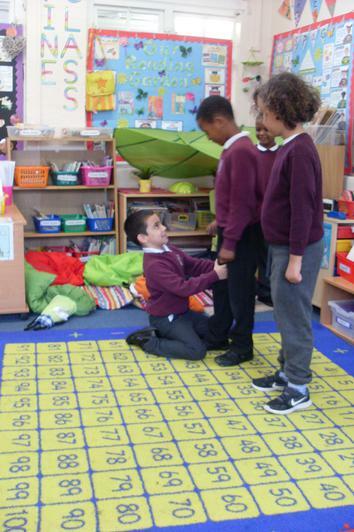 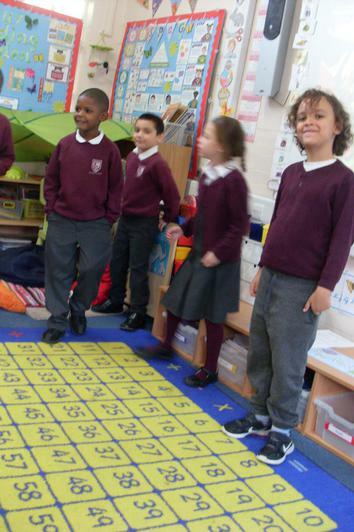 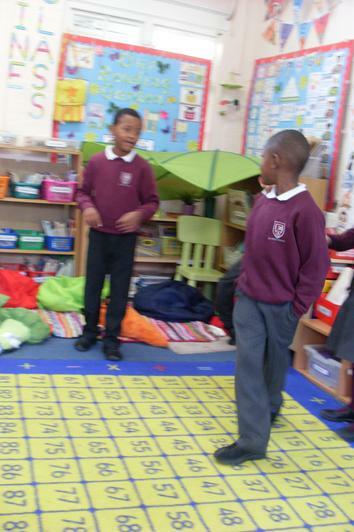 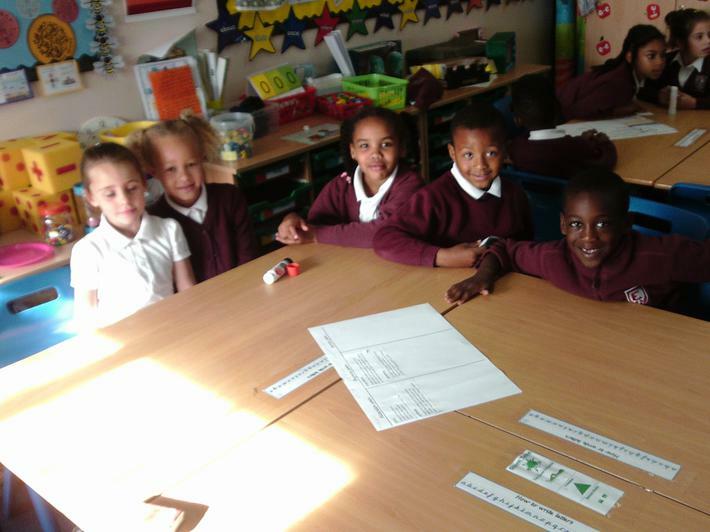 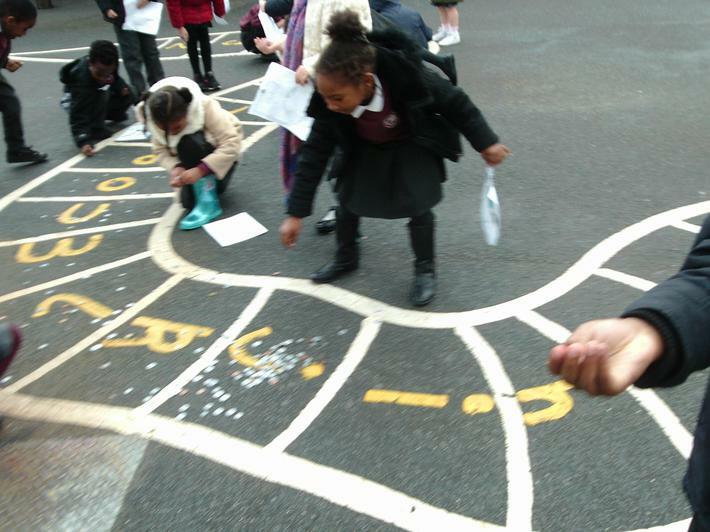 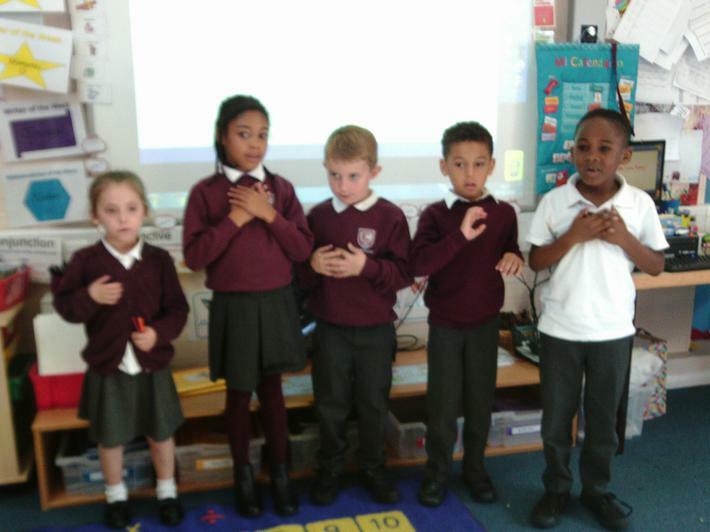 In maths today we were learning all about position, direction and movement. 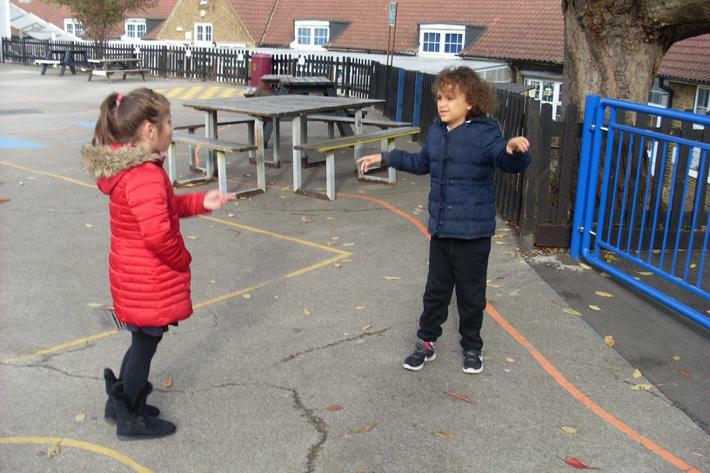 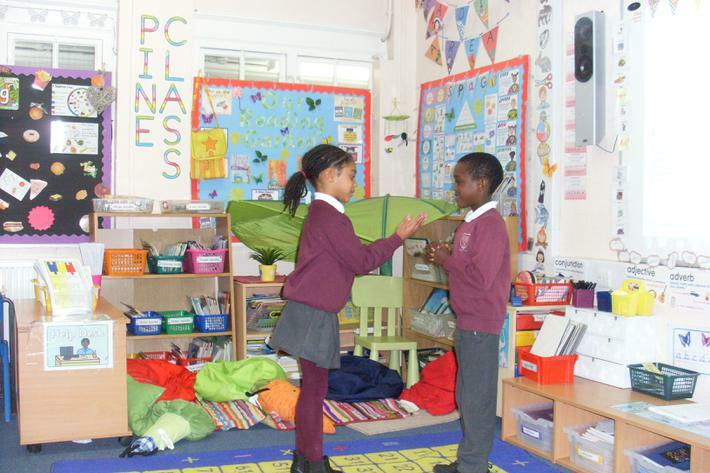 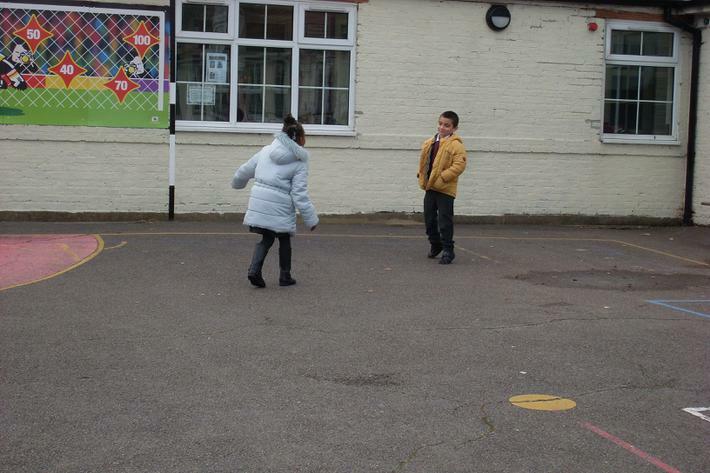 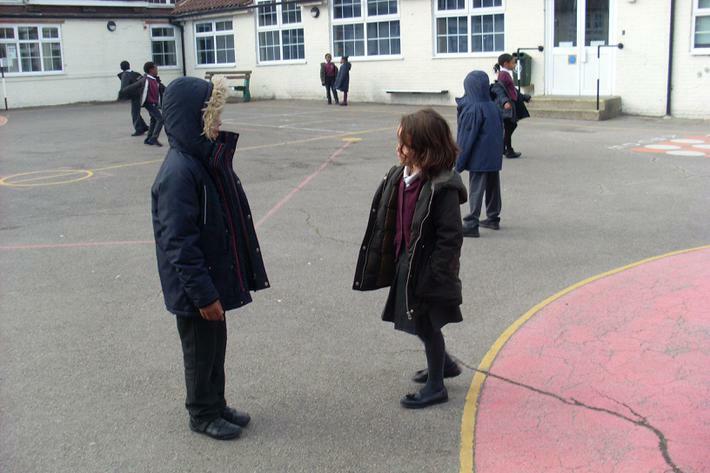 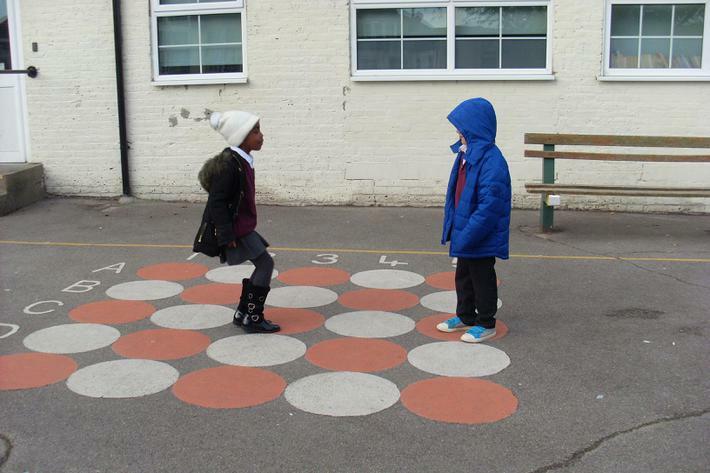 We worked in partners to give each other a set of instructions involving position, direction and movement to follow. 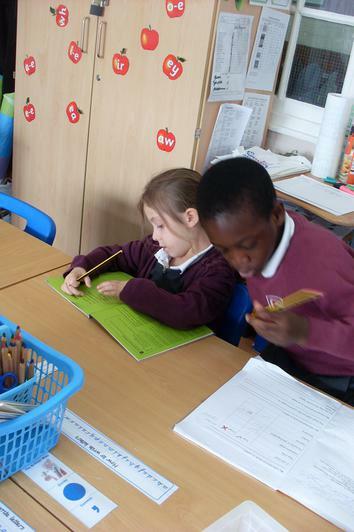 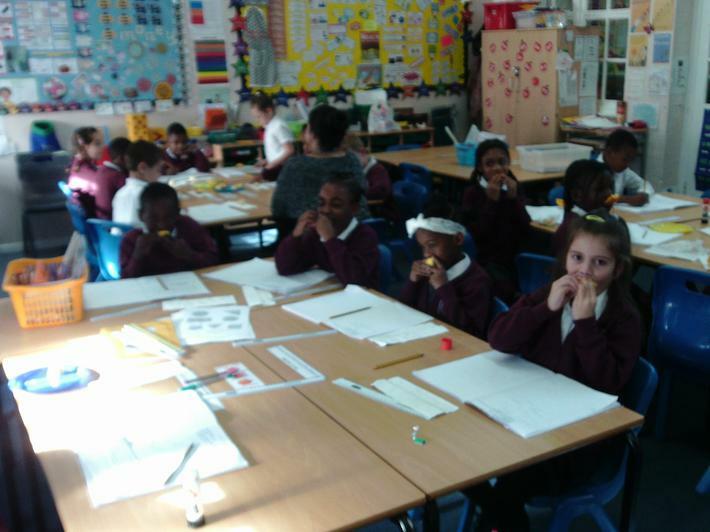 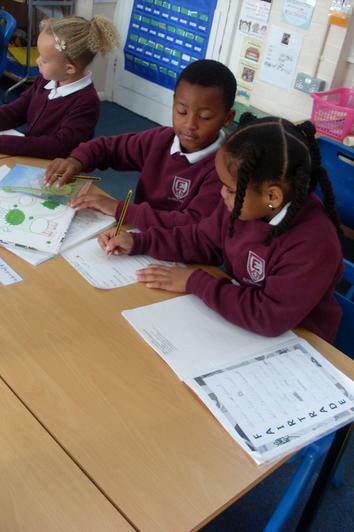 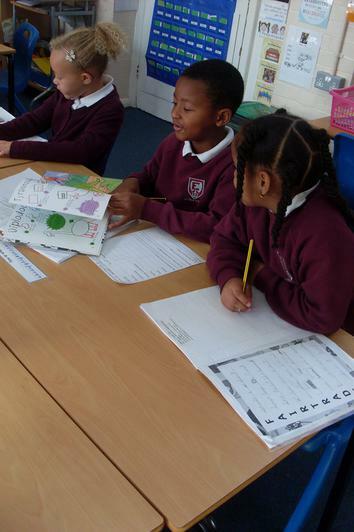 We used key words such as half a turn, full turn, quarter turn, left, right, backwards and forwards. 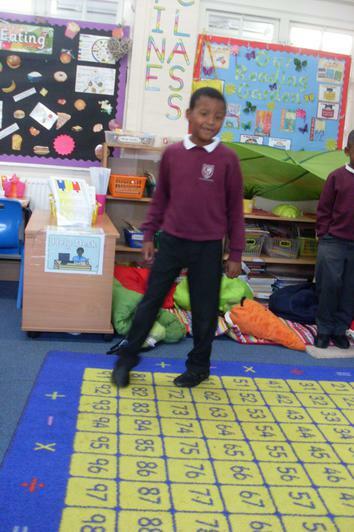 We also learnt the Cha Cha Slide dance. 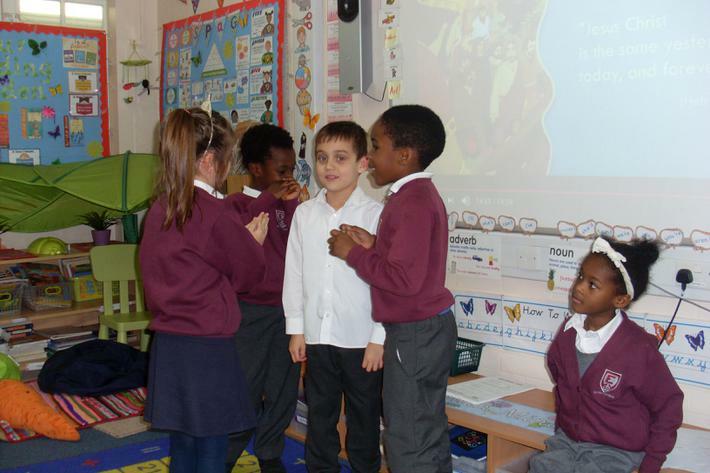 Today in RE we learnt all about the story of Zacchaeus and the changes in his behaviour. 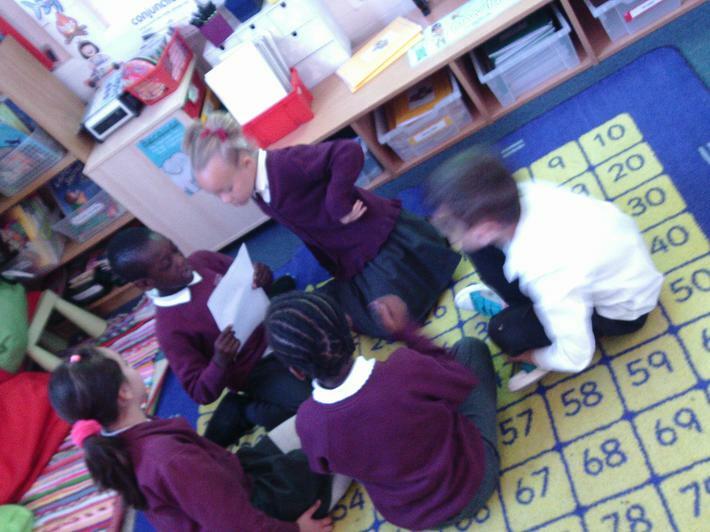 We worked in groups to act out the story and then share it with others. 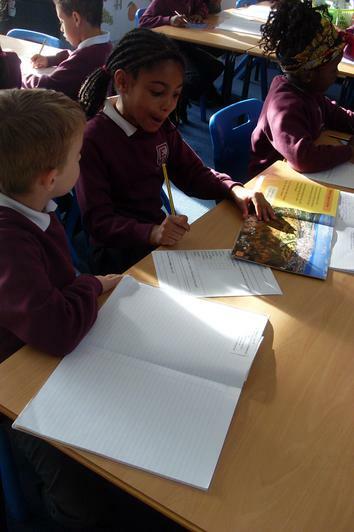 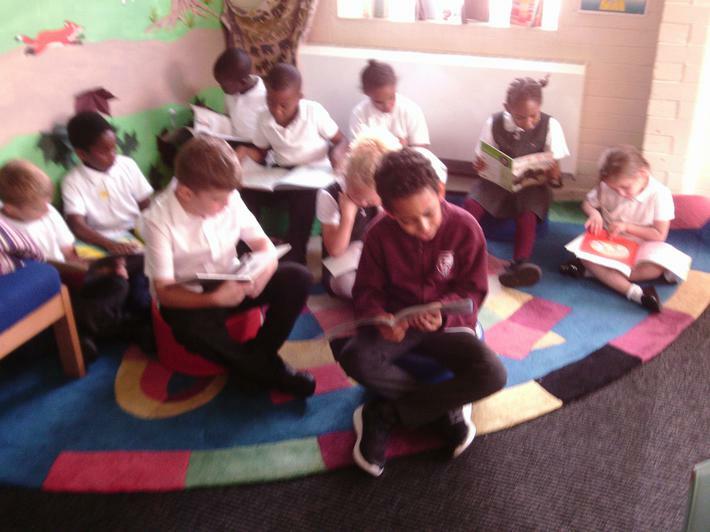 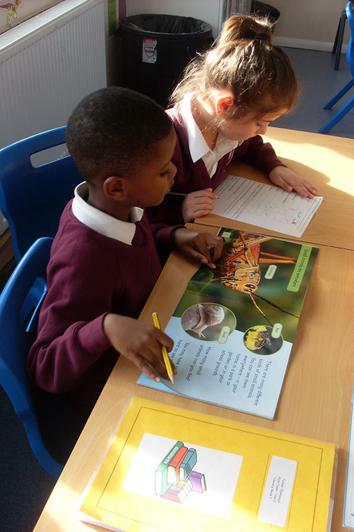 Today in literacy we read through information text. 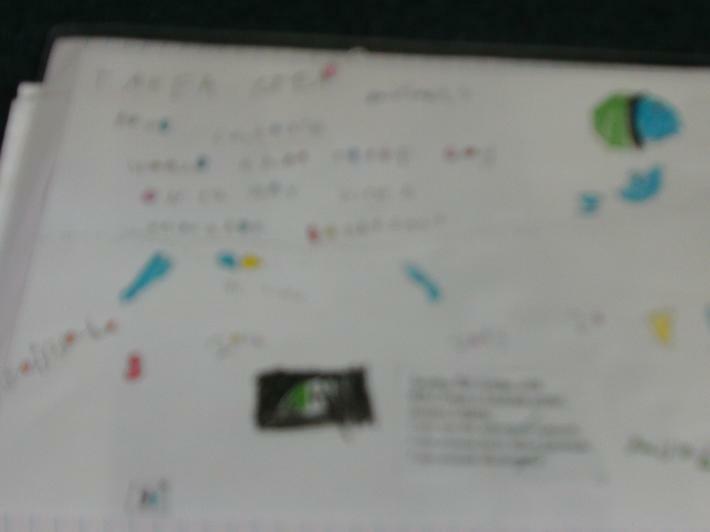 We found the answers to questions using the contents and index page to help us. 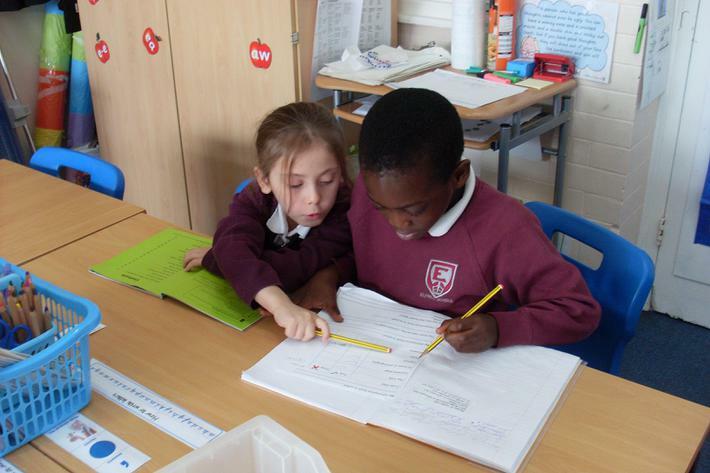 We worked in pairs to find our answers. 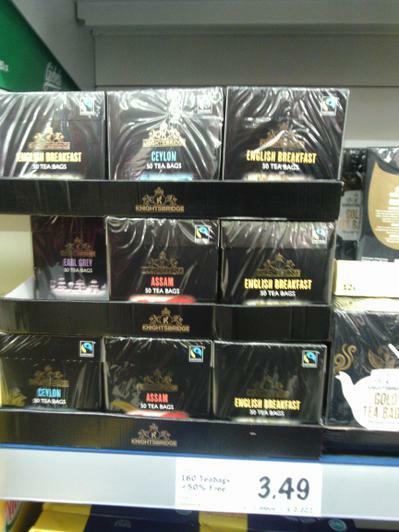 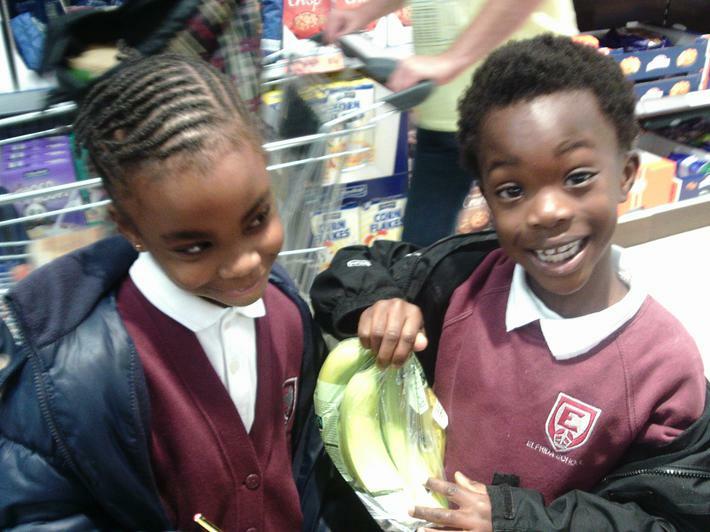 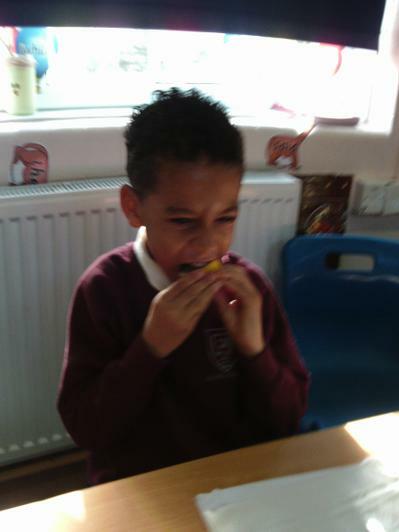 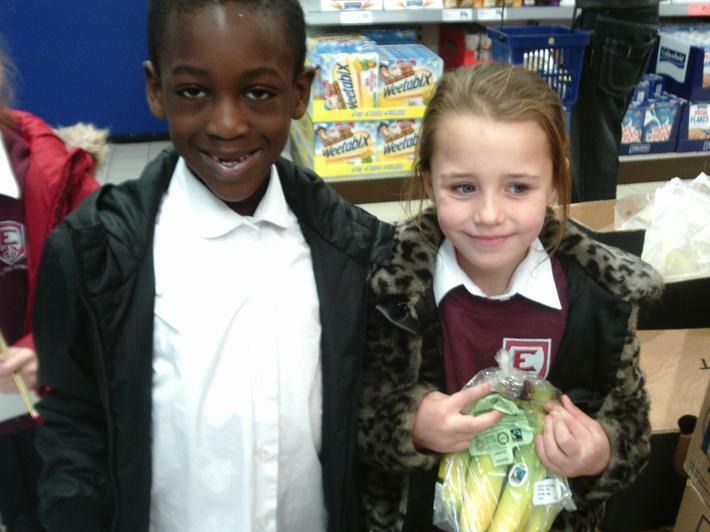 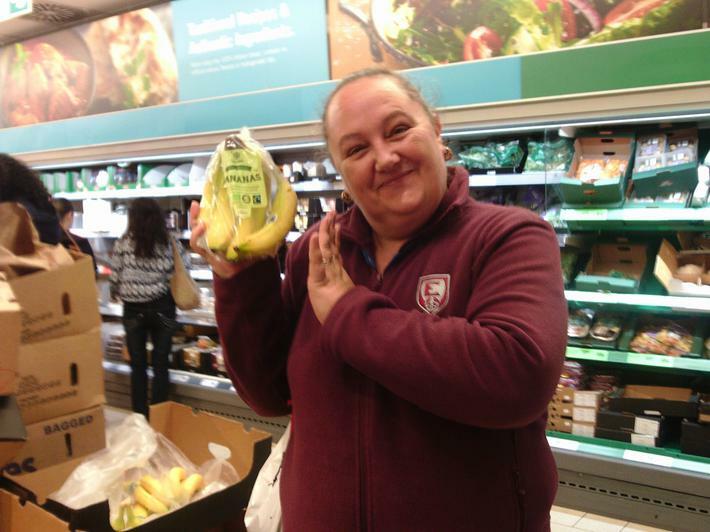 This week was Fairtrade week at Elfrida and we had lots and lots of fun! 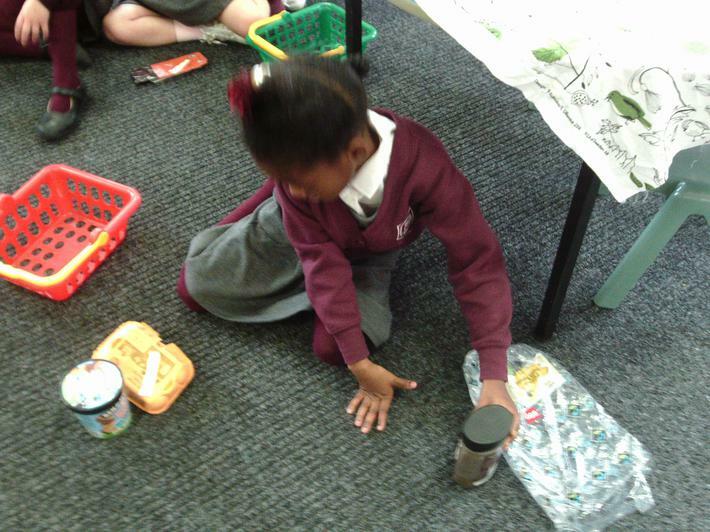 We all found out lots about the meaning of Fairtrade and the importance of buying Fairtrade products. 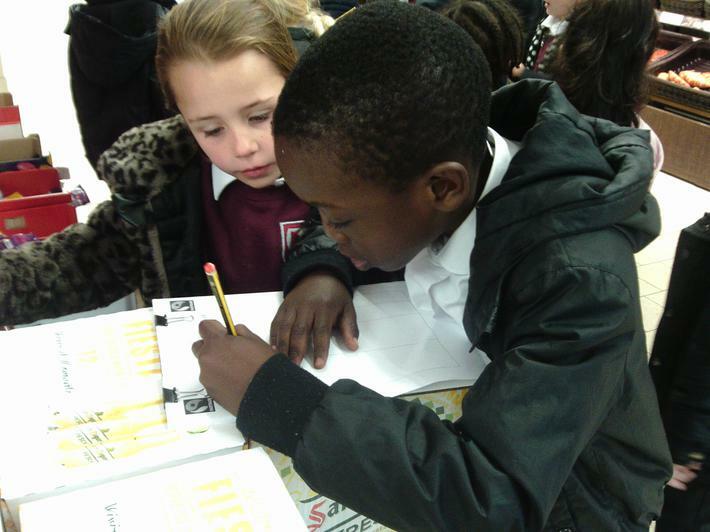 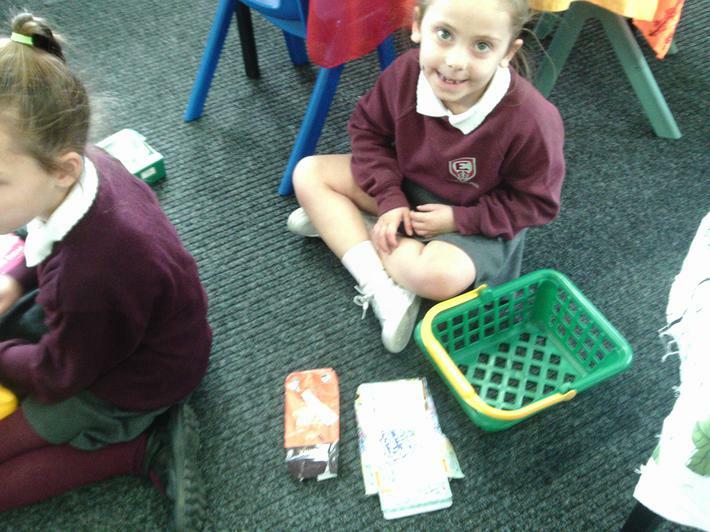 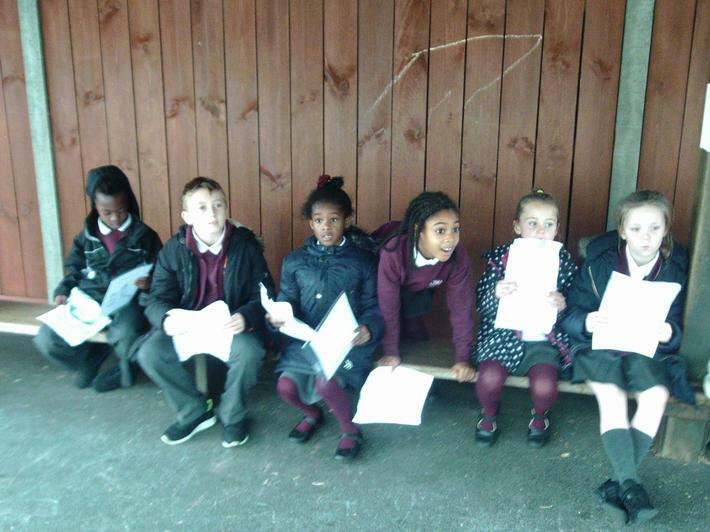 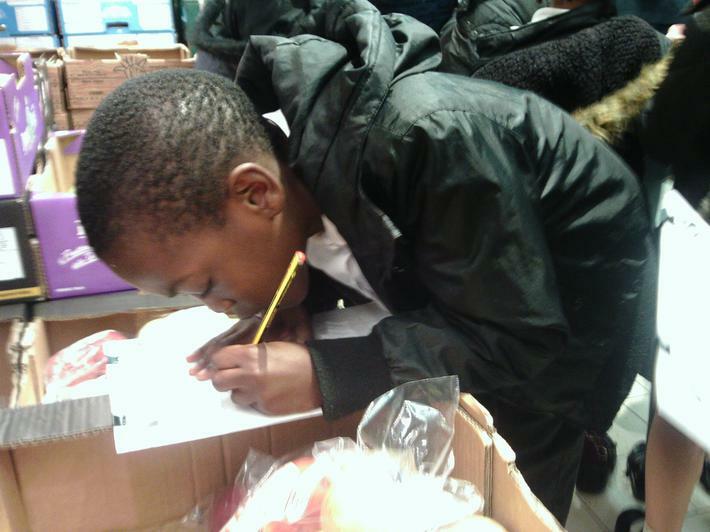 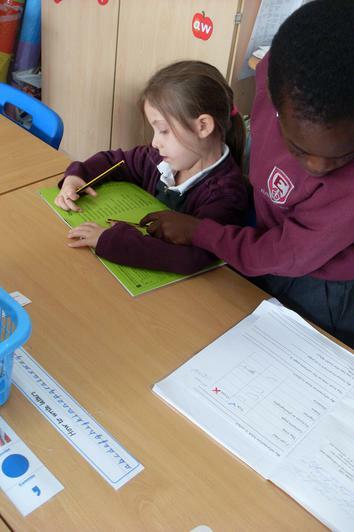 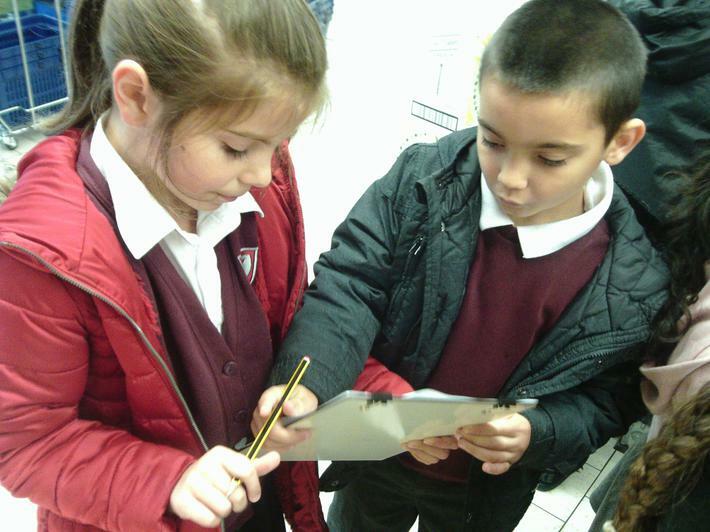 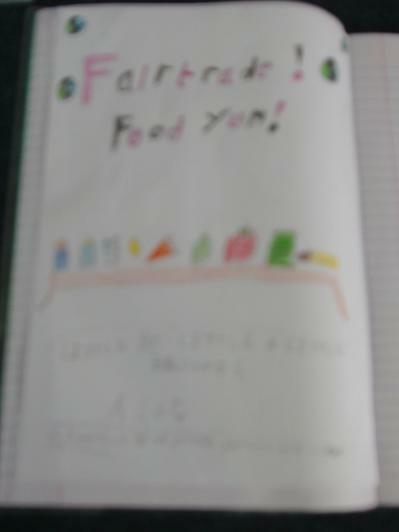 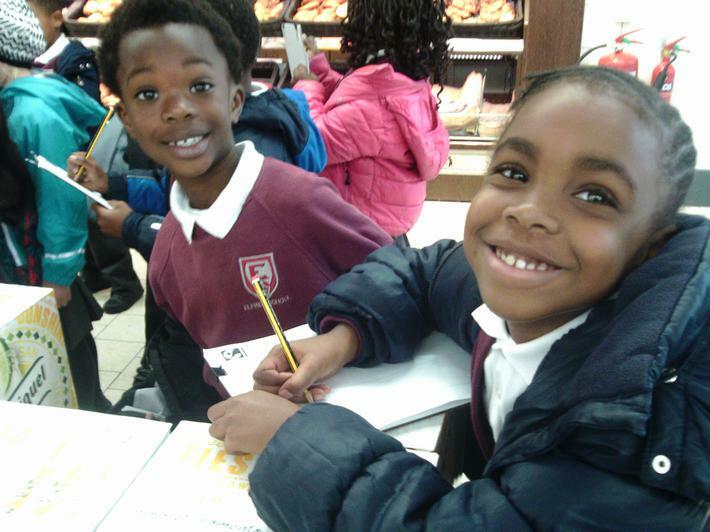 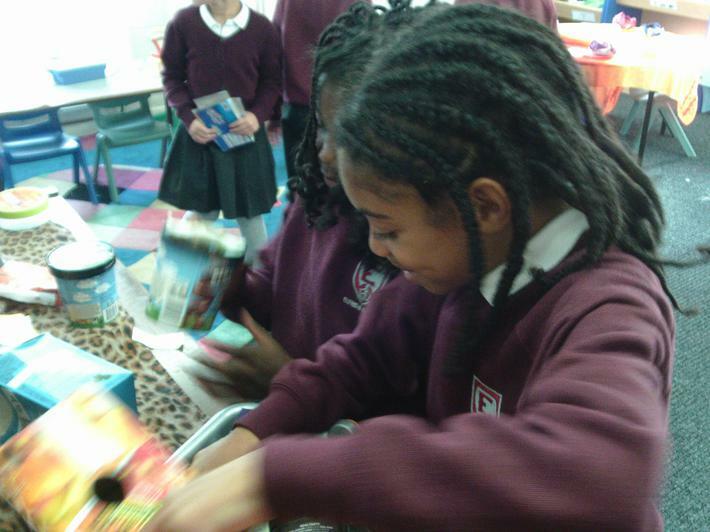 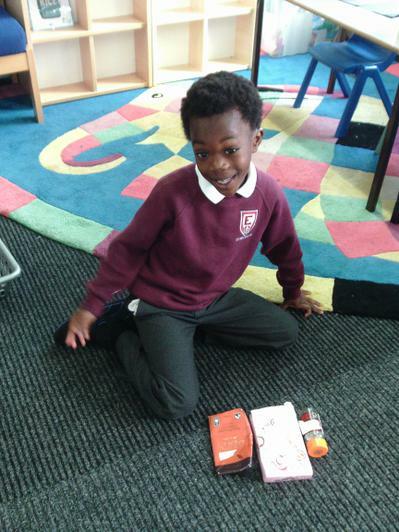 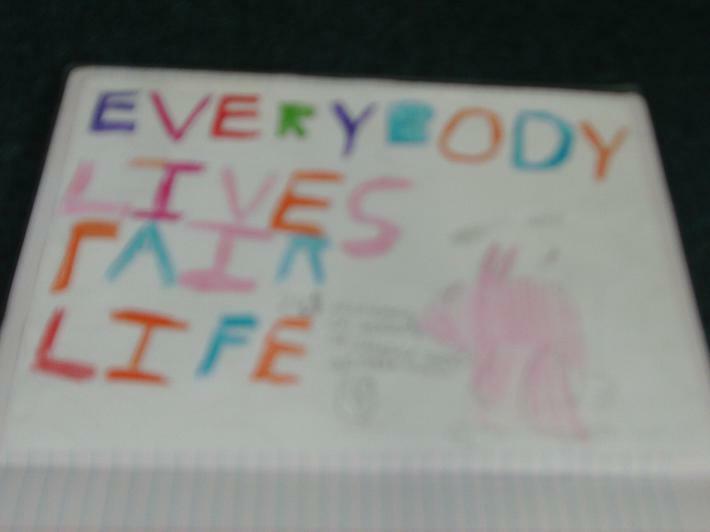 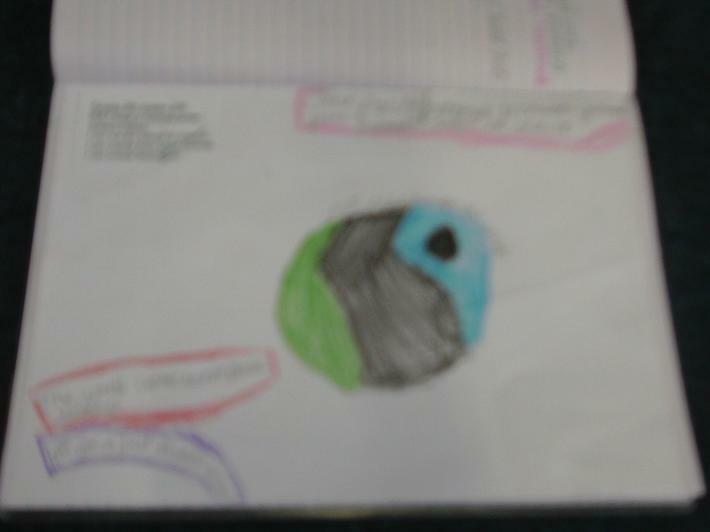 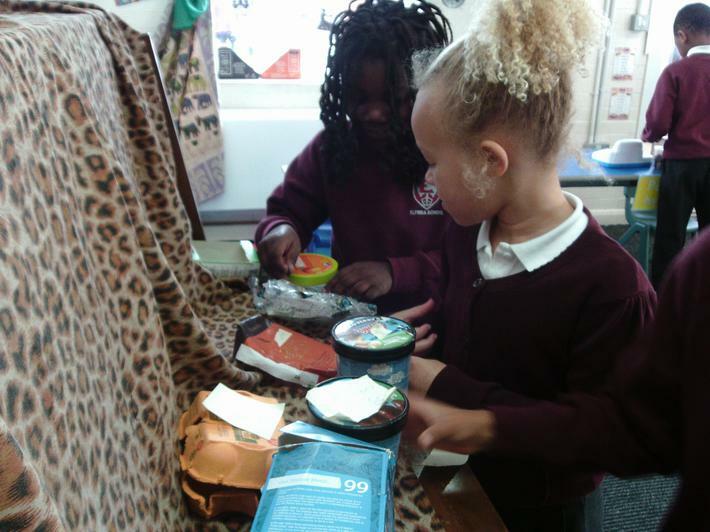 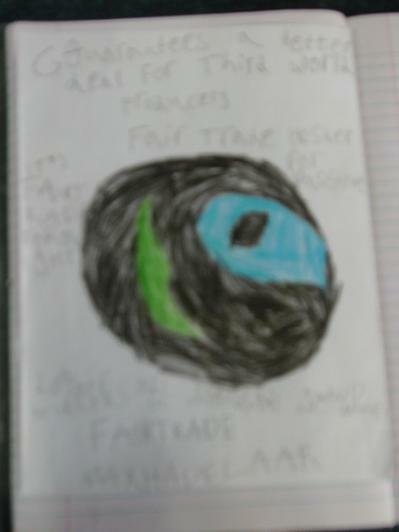 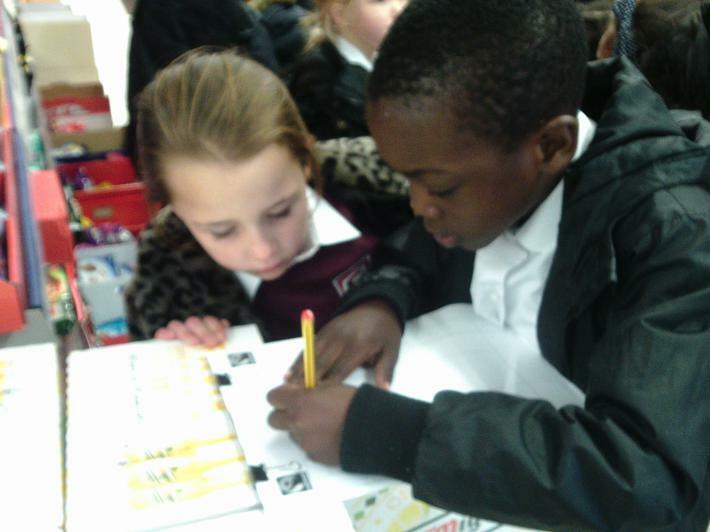 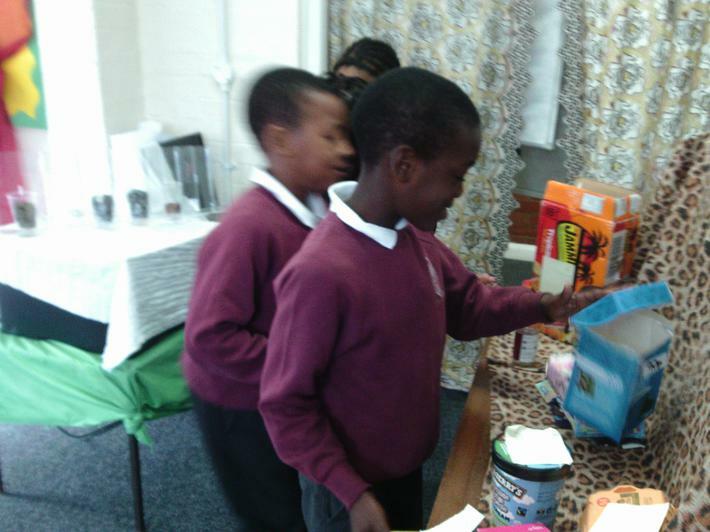 We created our own Fairtrade posters, played maths games with Year 4, watched a short documentary about how cocoa beans and other Fairtrade items are produced and grown in Dominican Republic, participated in a Fairtrade treasure hunt and bought Fairtrade items from our school roleplay supermarket area. 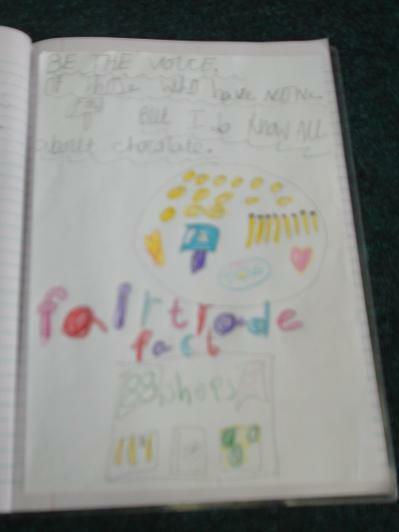 We also used laptops and iPads to research Fairtrade products and their country of origin. 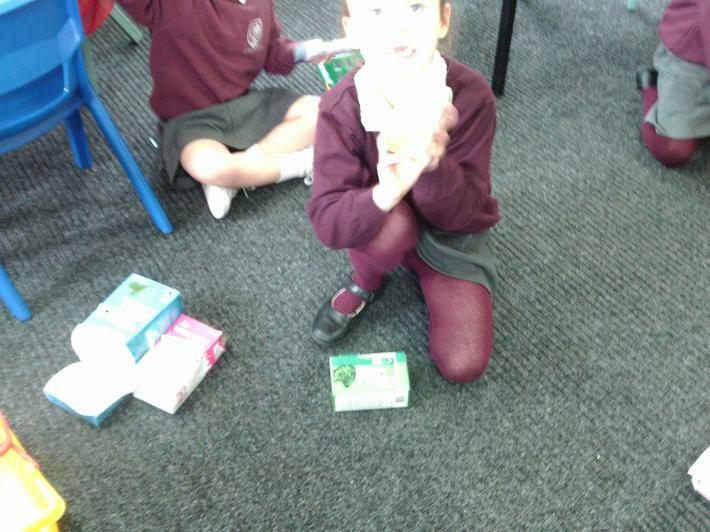 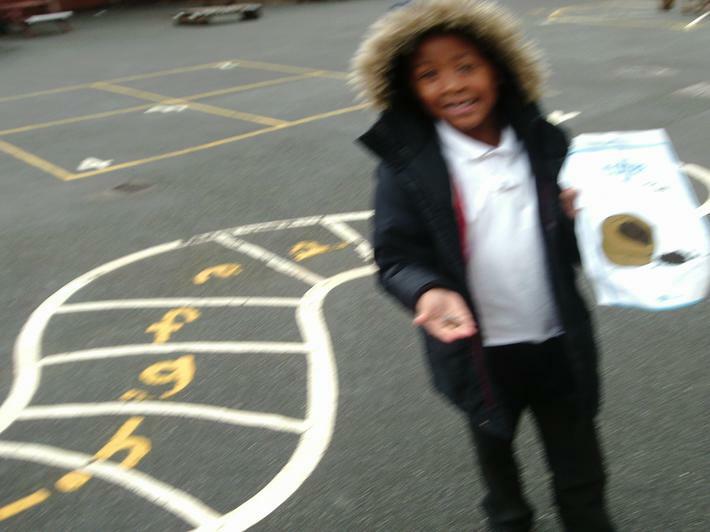 At the end of the week we participated in a Fairtrade quiz which showed us all just how much we have learnt this week! 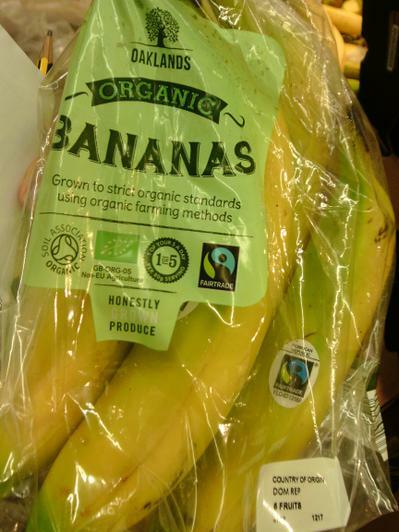 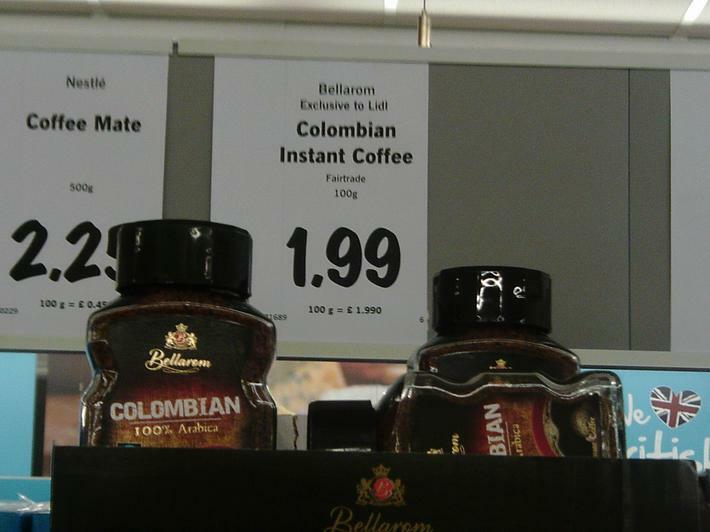 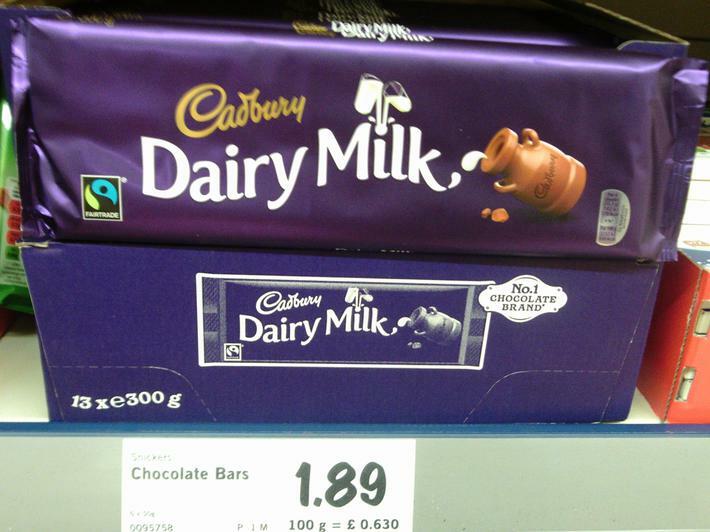 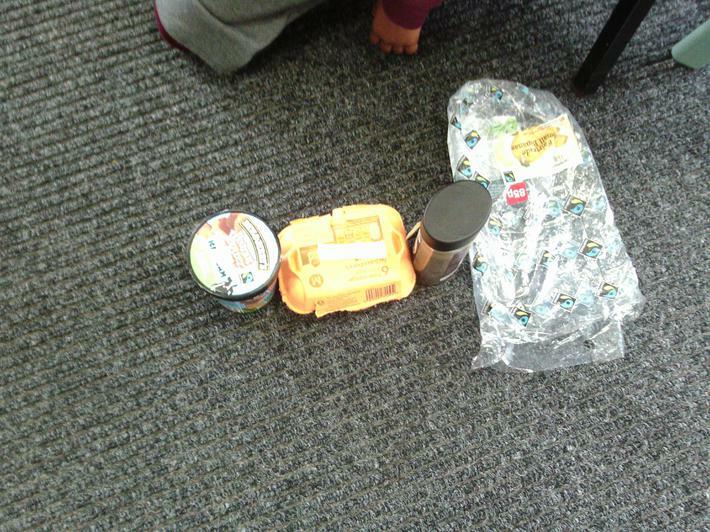 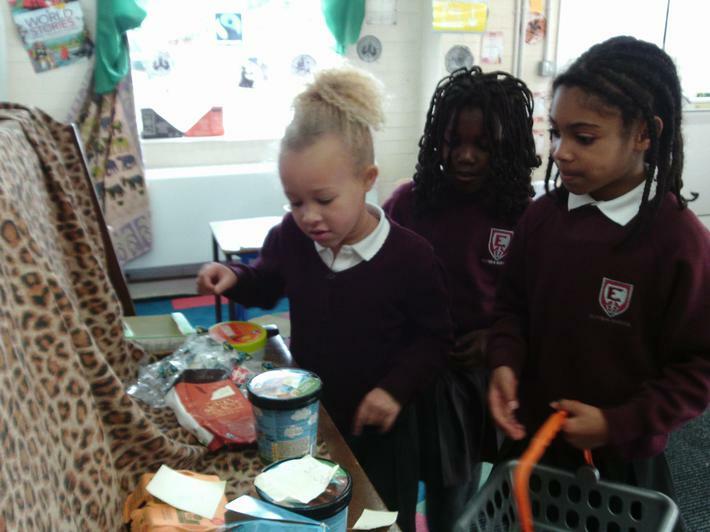 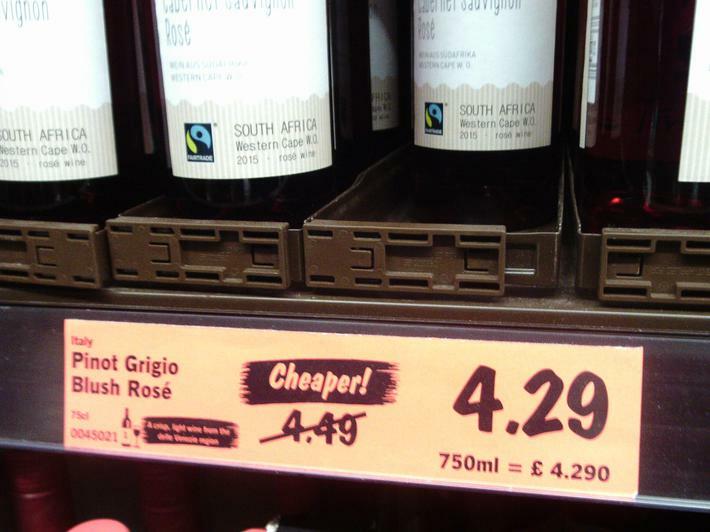 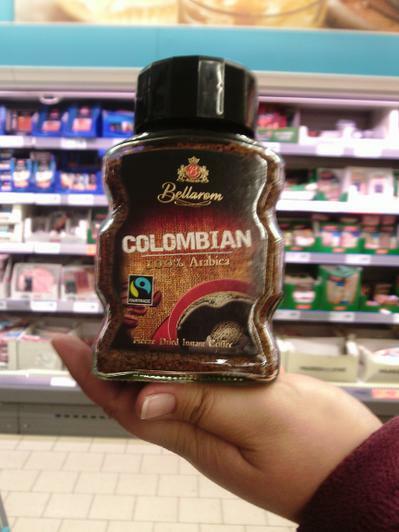 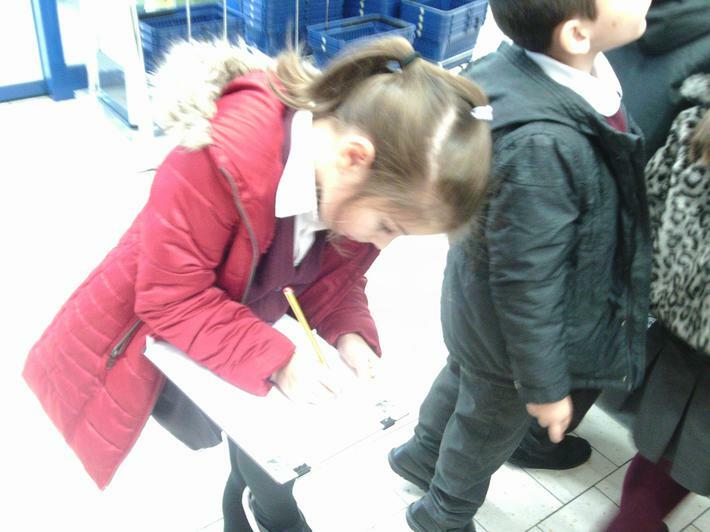 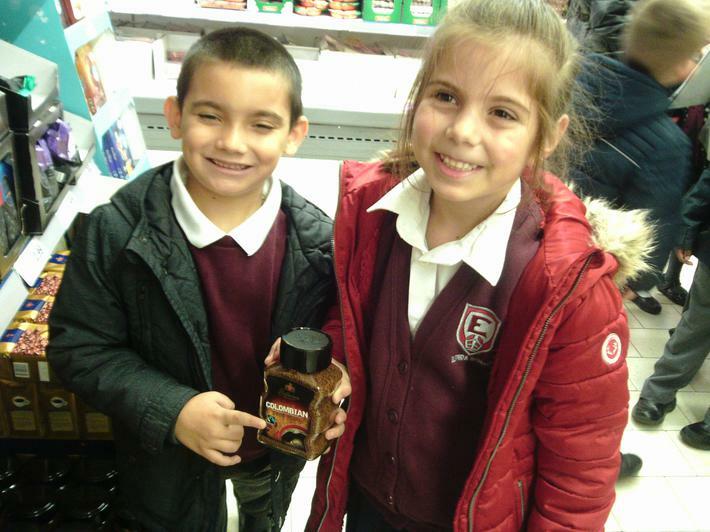 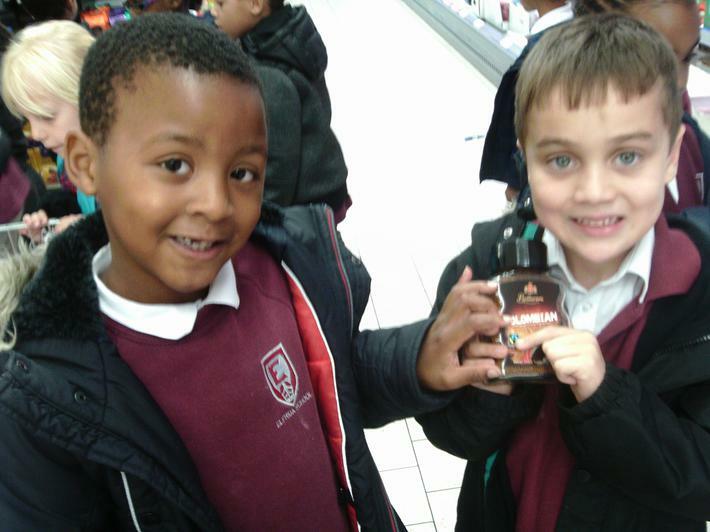 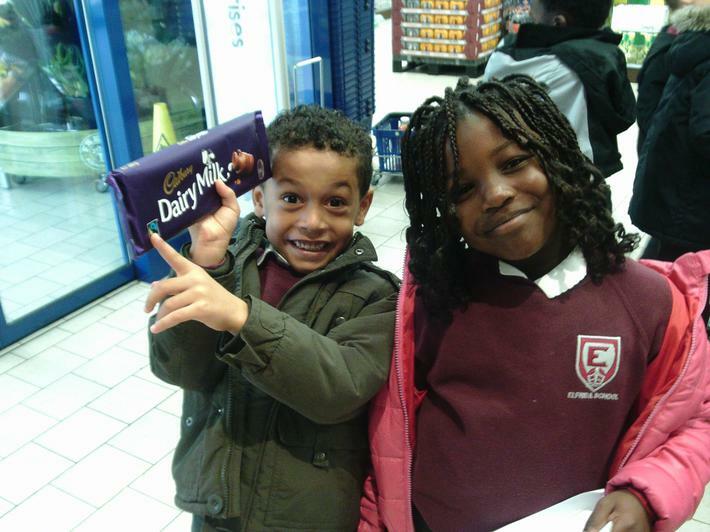 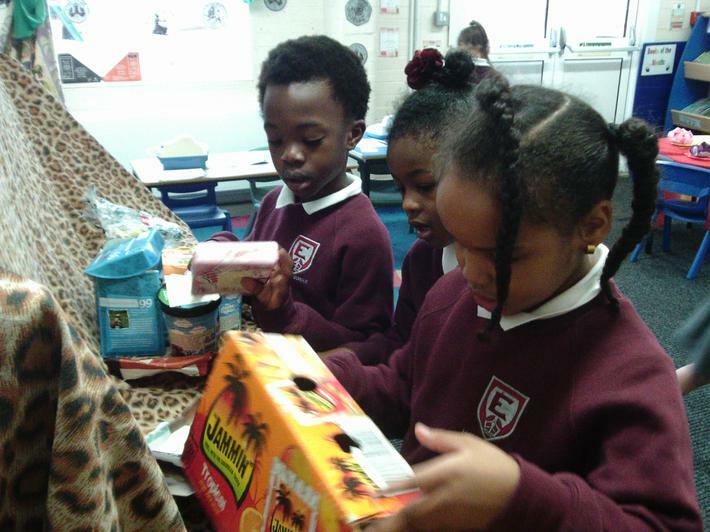 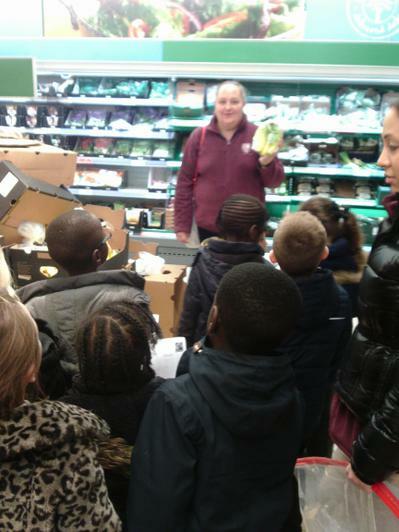 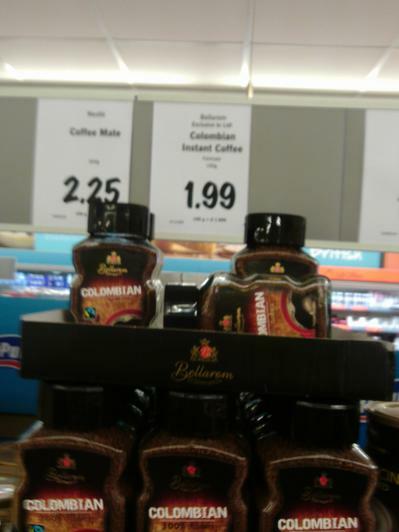 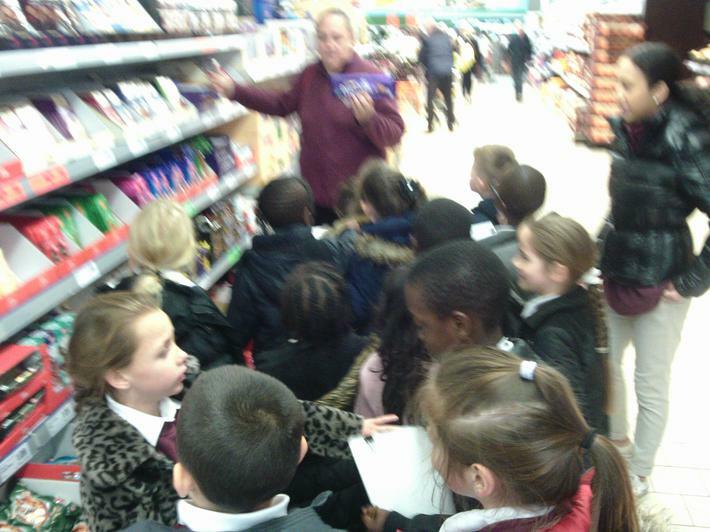 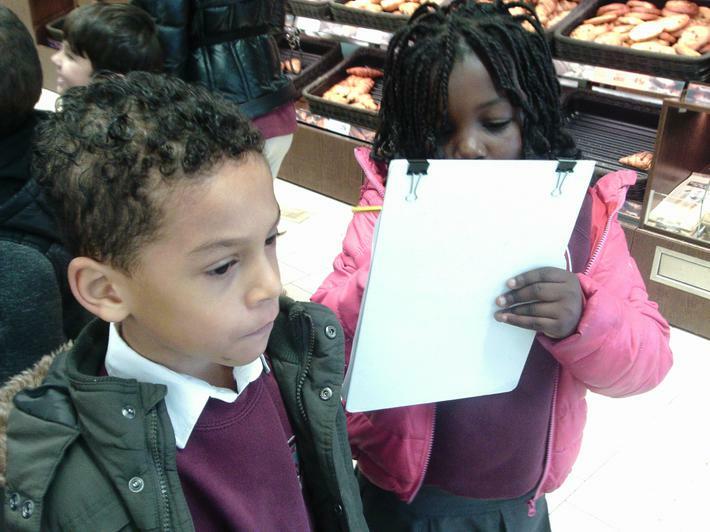 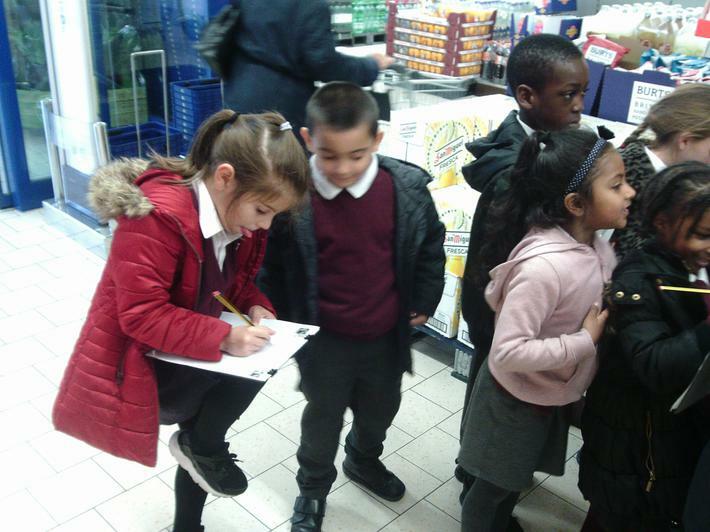 Additionally, we went on a trip to Lidl to find as many Fairtrade products as we could and discussed the price of the items conpared to non Fairtrade items. 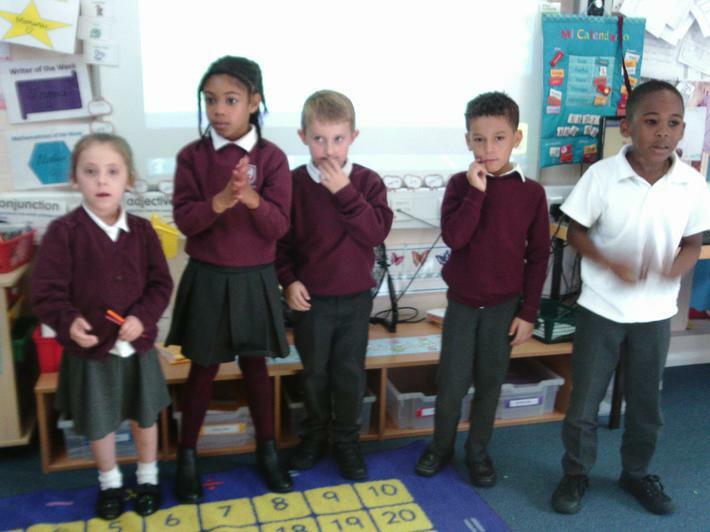 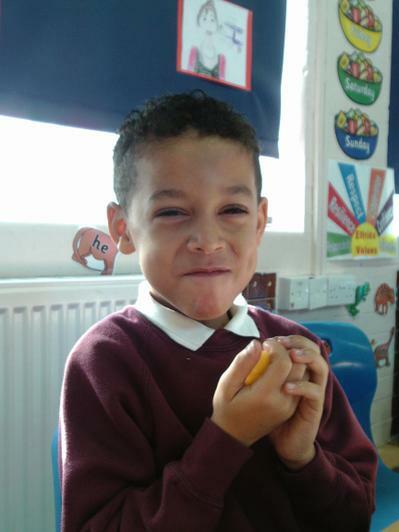 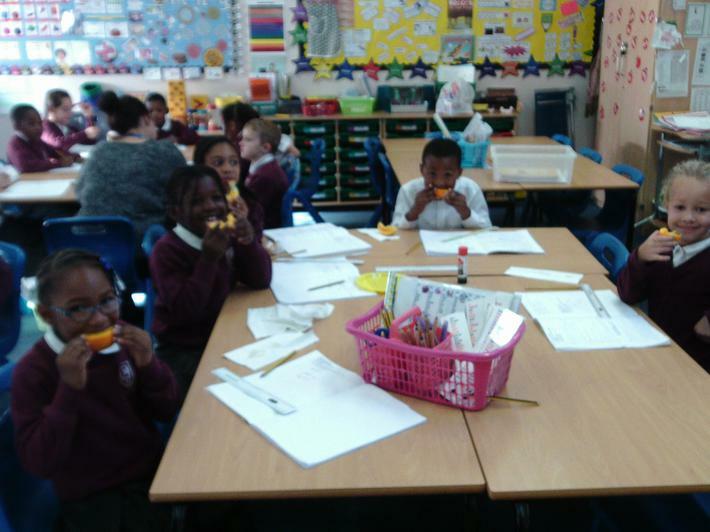 Today we used our 5 senses to describe fruit. 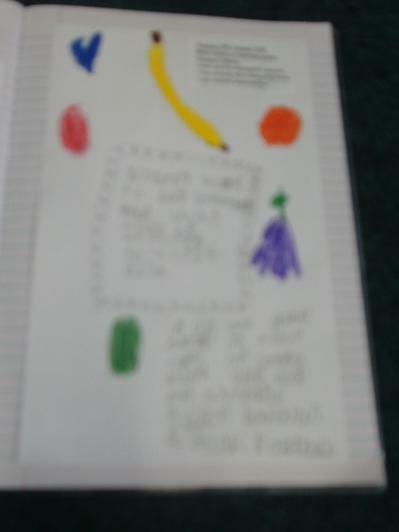 We created a thought shower of words and then used these to write an acrostic poem about the fruit that was on our table. 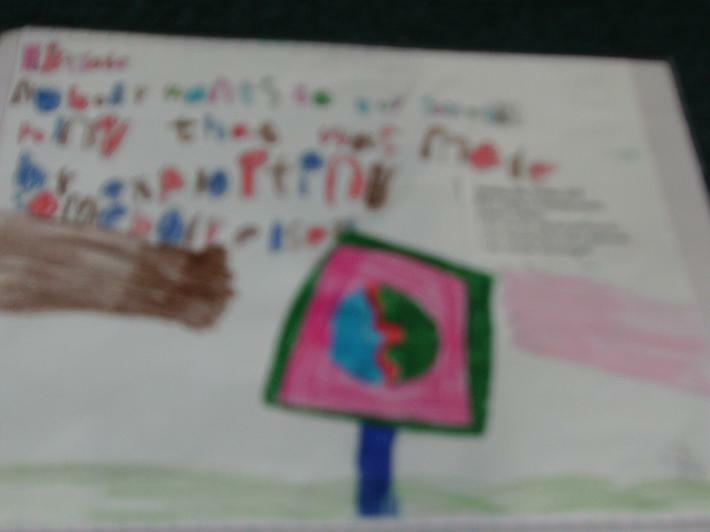 We also tried really hard to include similes and metaphors. 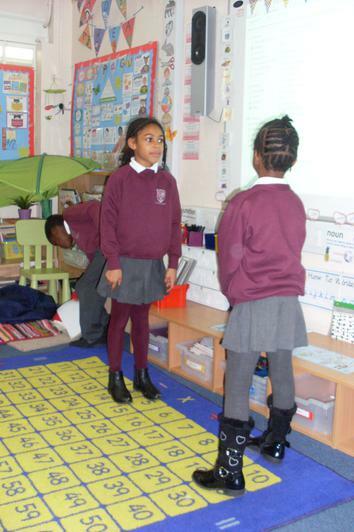 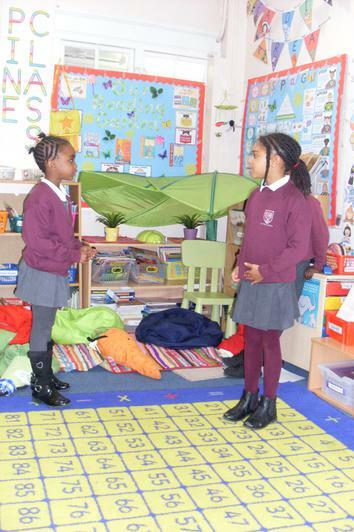 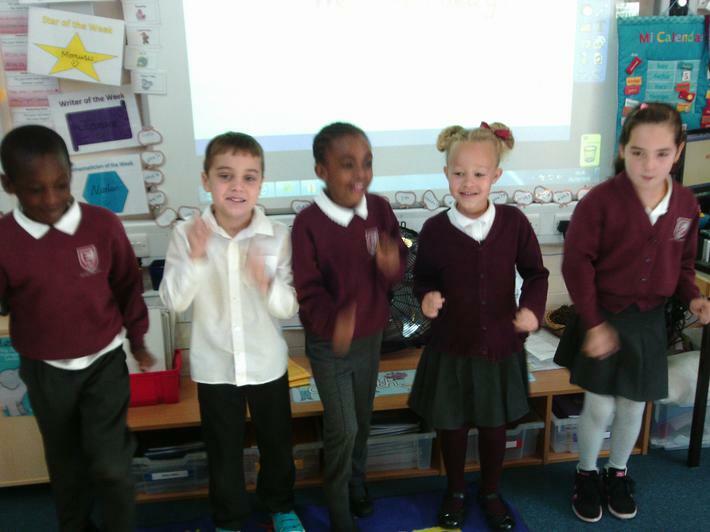 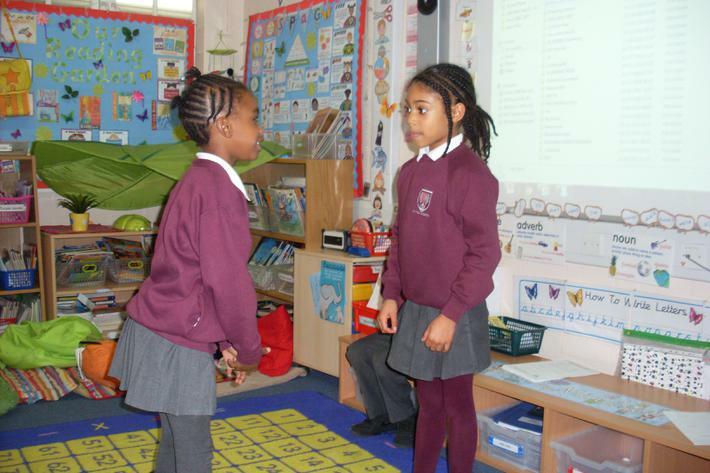 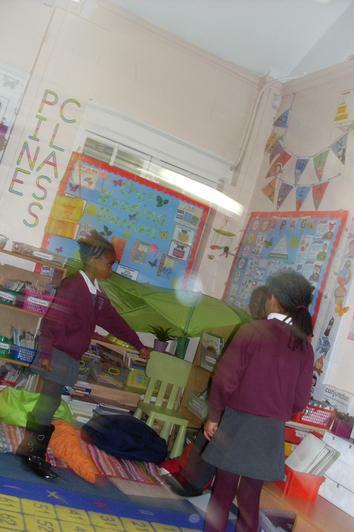 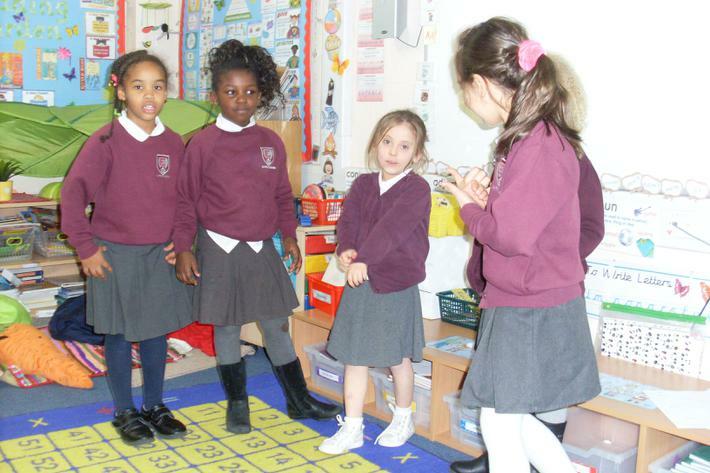 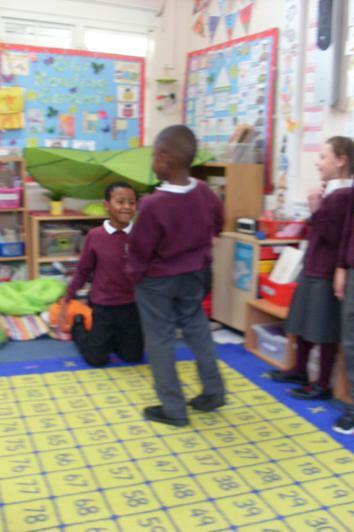 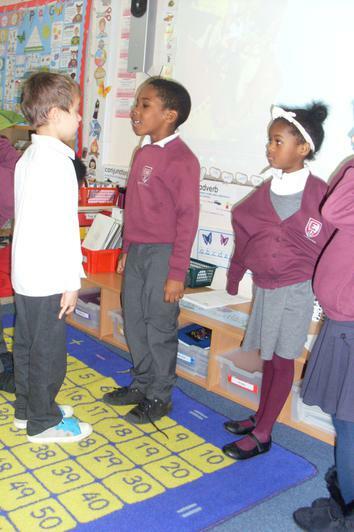 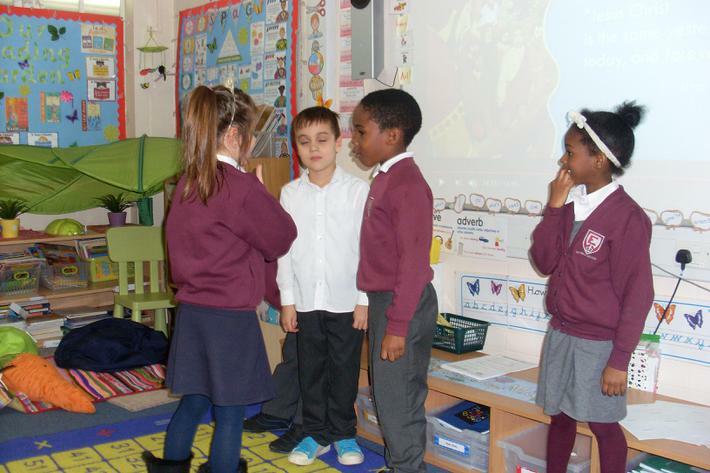 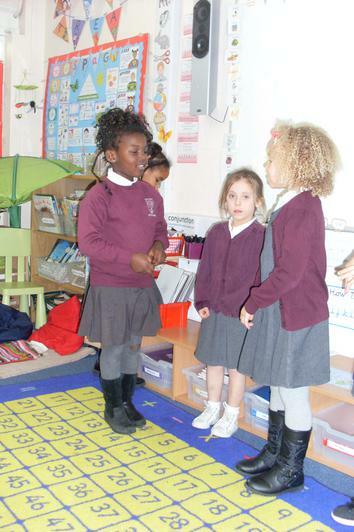 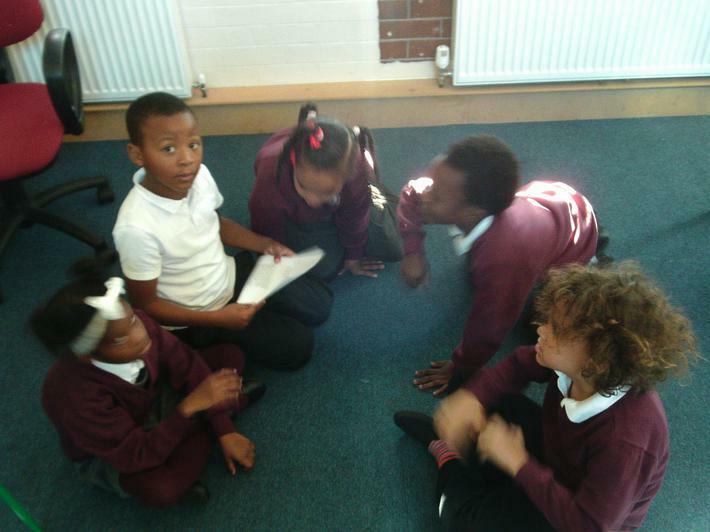 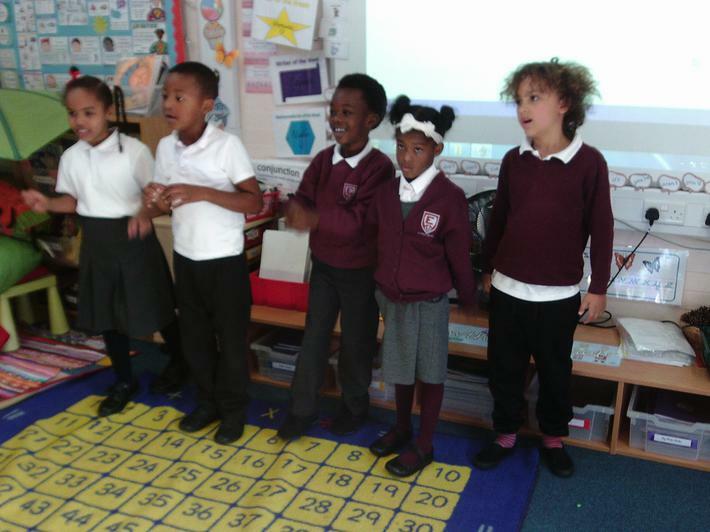 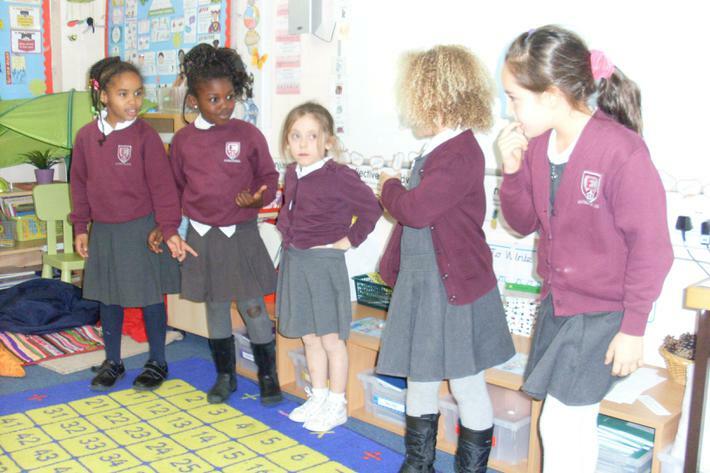 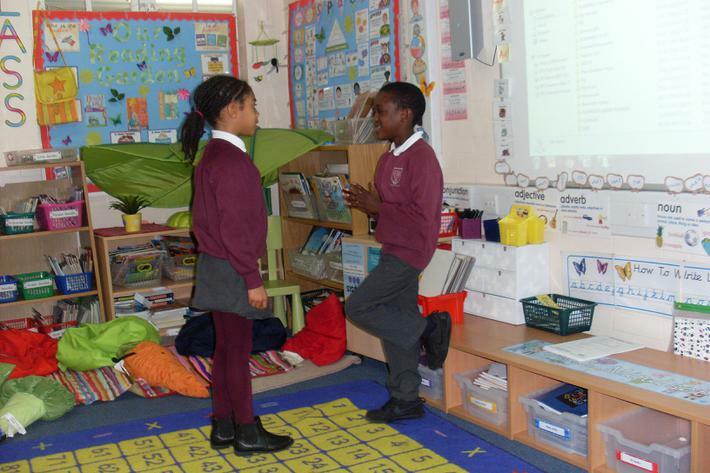 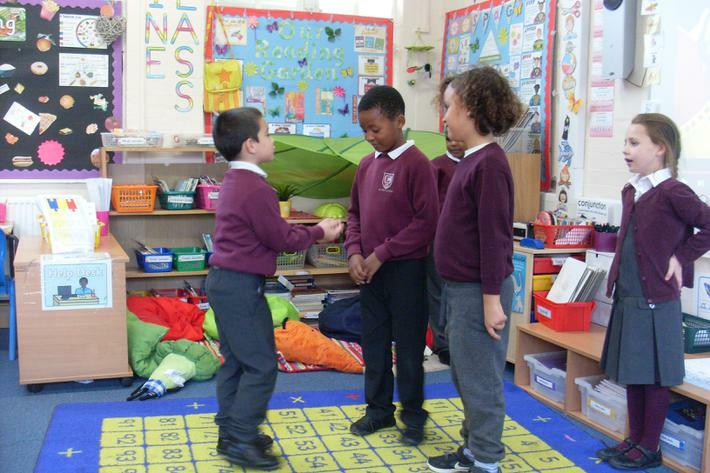 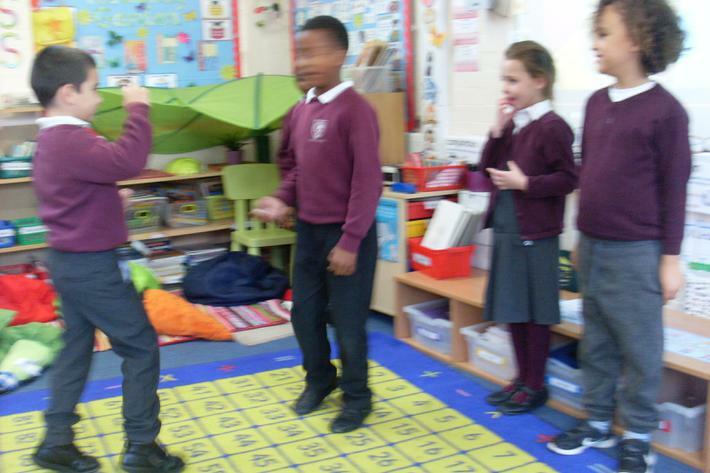 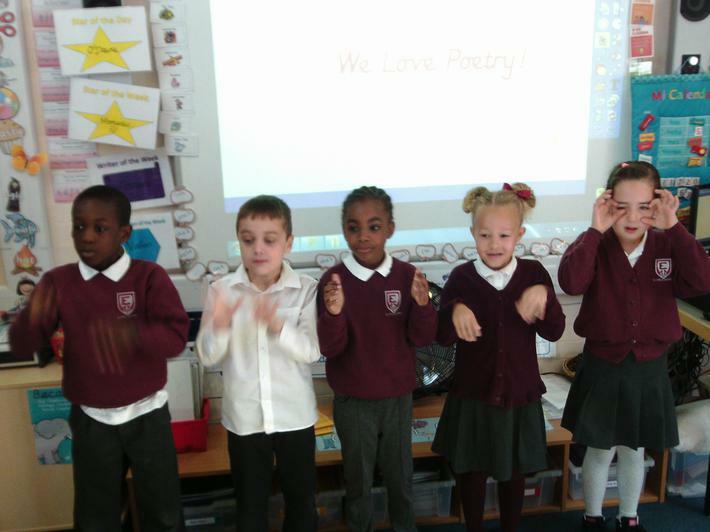 Today in literacy, we worked in groups to rehearse and perform a poem using actions. 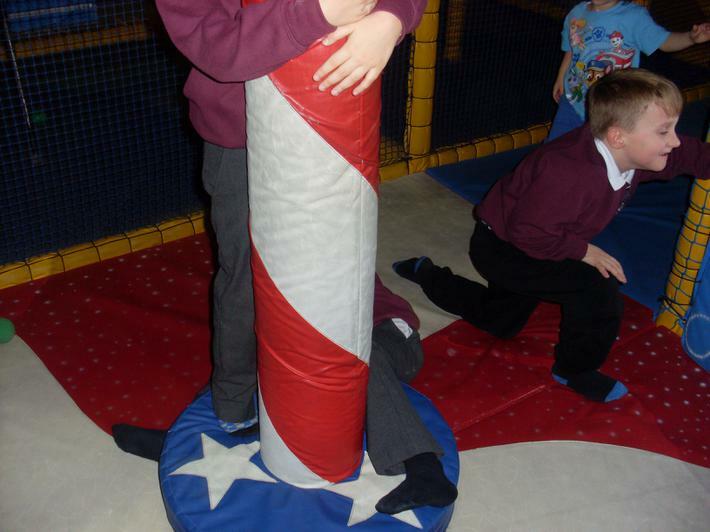 Below are some pictures of us in action. 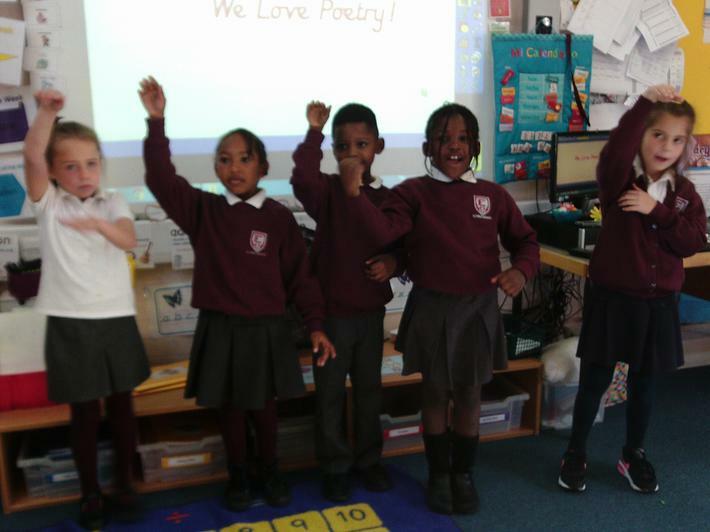 In literacy today, we looked at different types of poetry such as acrostic poems, rhyming poems, alliteration poems and poems with a repeating pattern. 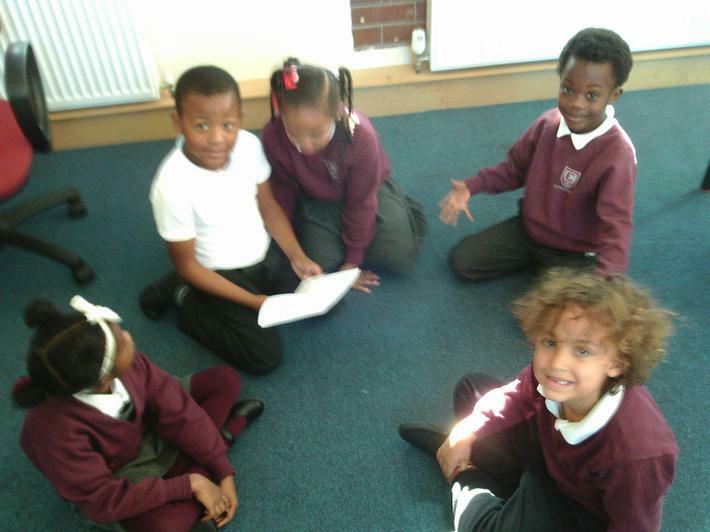 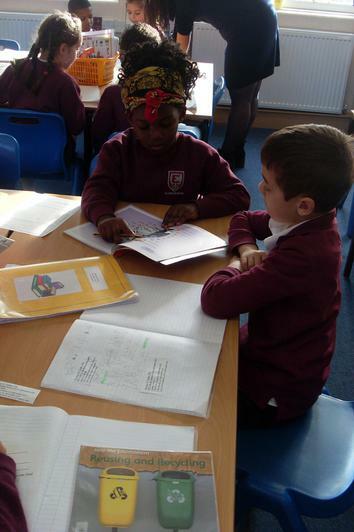 We worked in groups to read through a variety of different poems and then sorted them into the correct category. 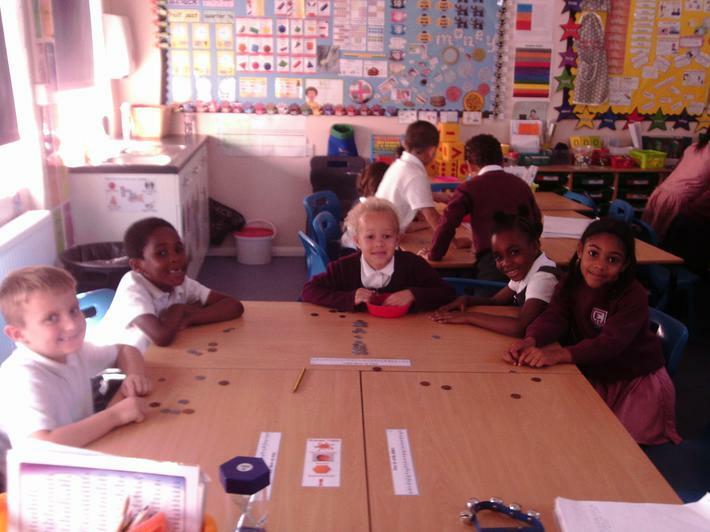 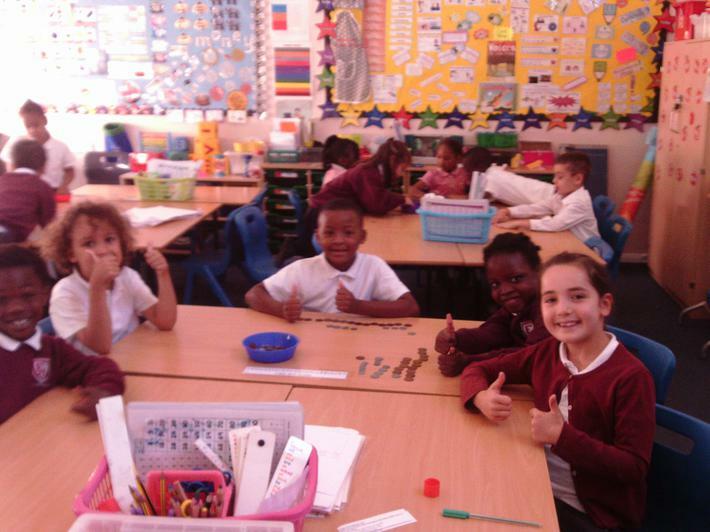 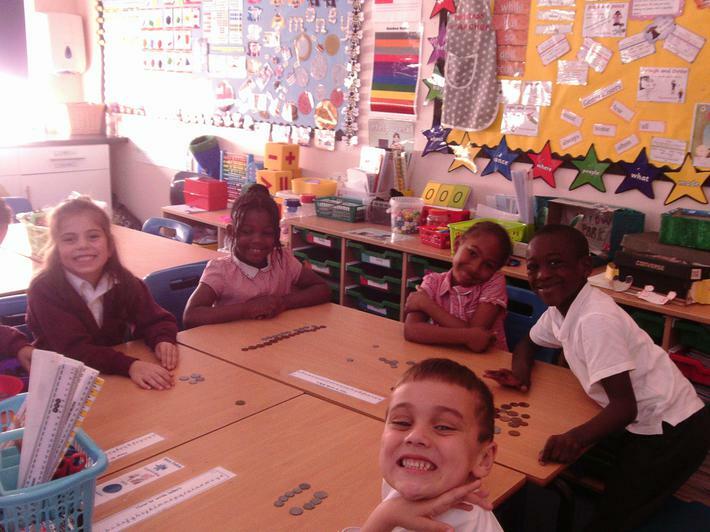 In maths today we worked in mixed groups to make various amounts of money up to £1. 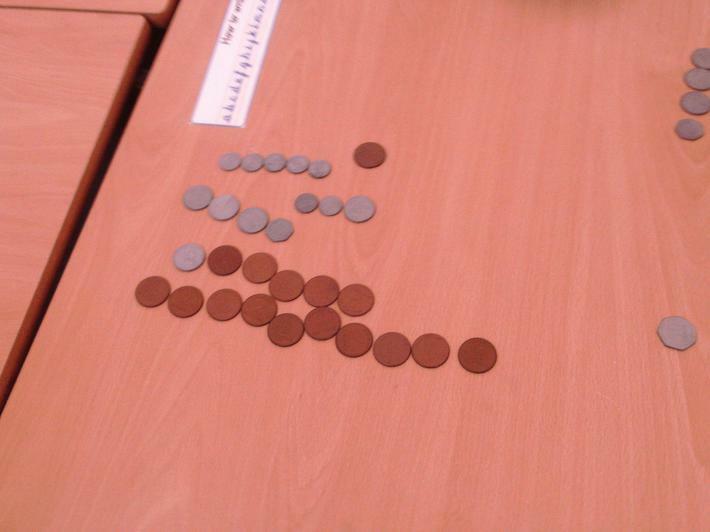 We did this by using our growth mindset and our knowledge of number bonds to 10, 20 and 100. 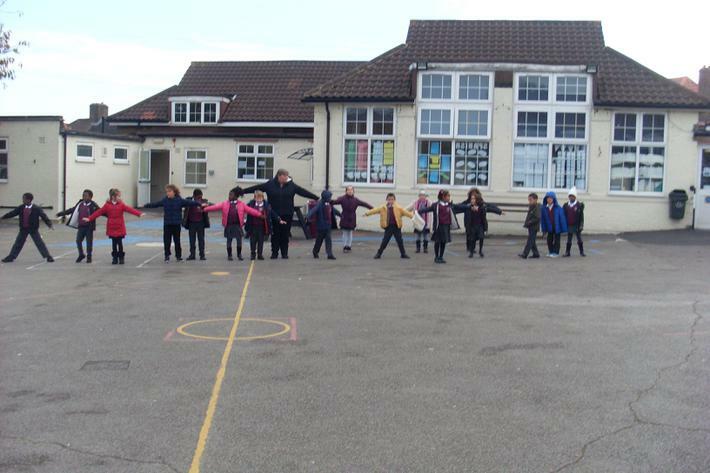 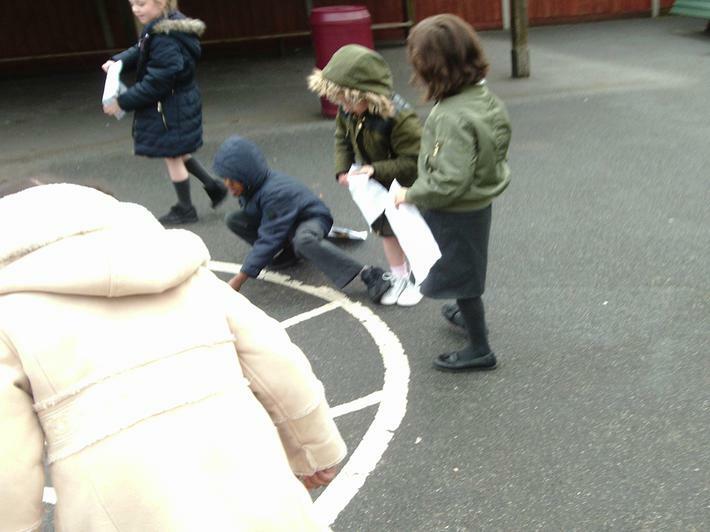 Pine class are great team players! 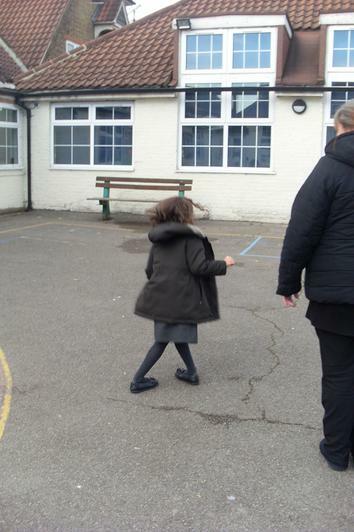 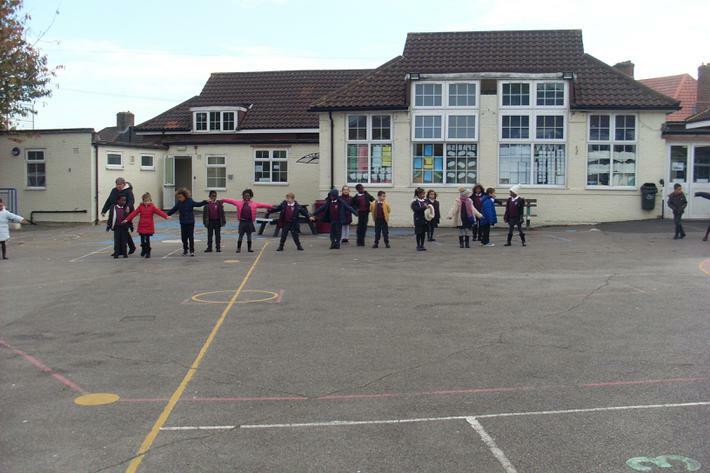 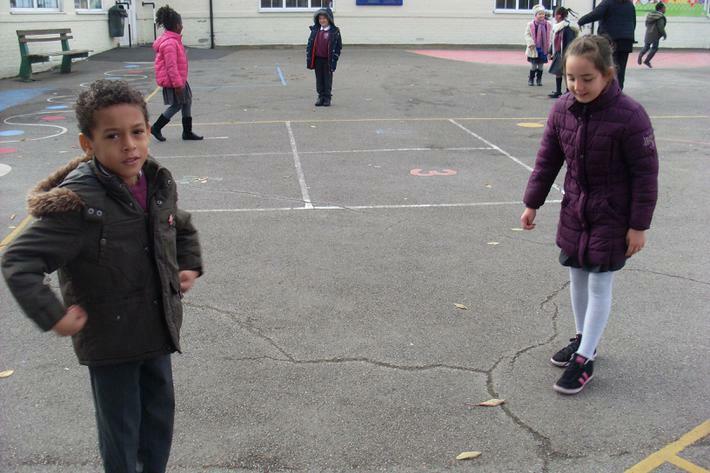 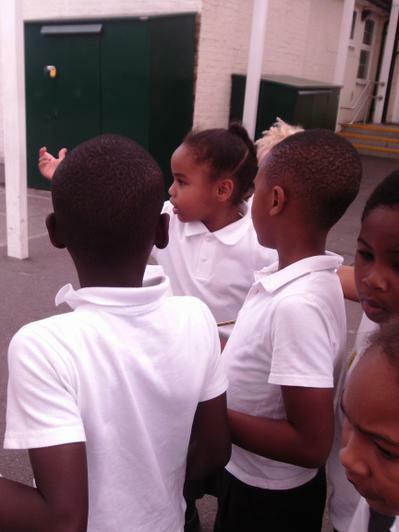 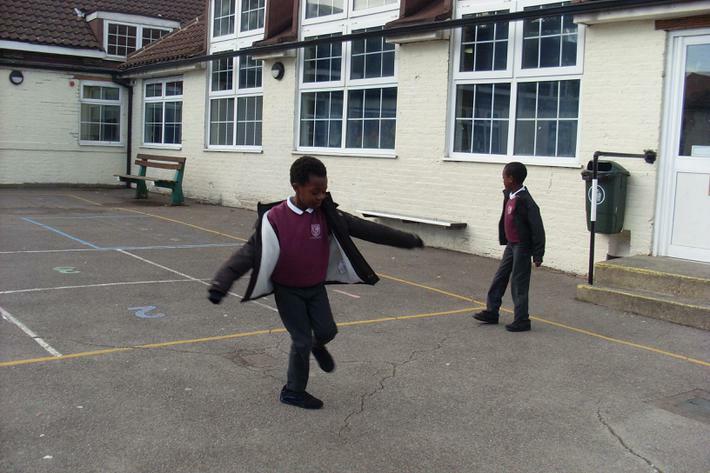 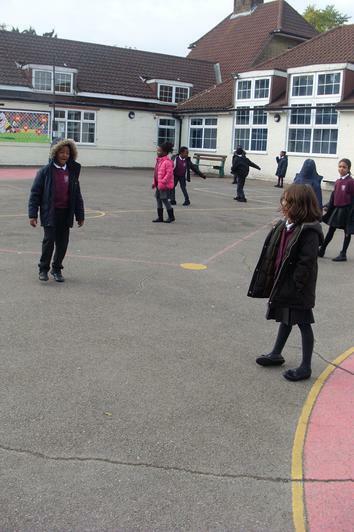 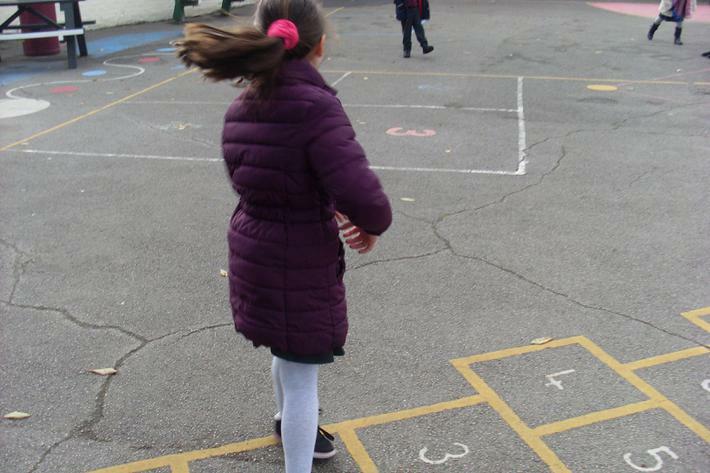 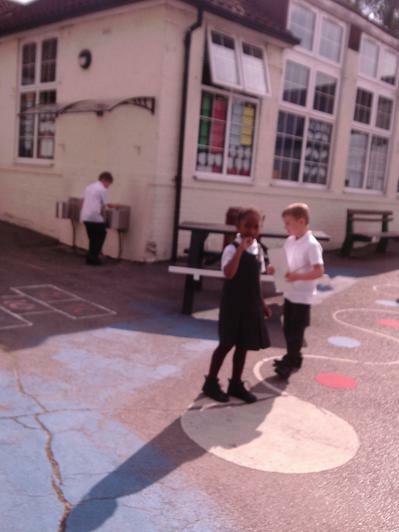 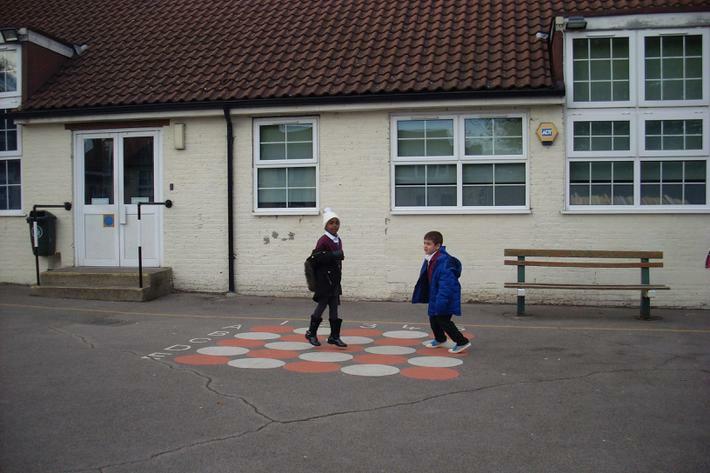 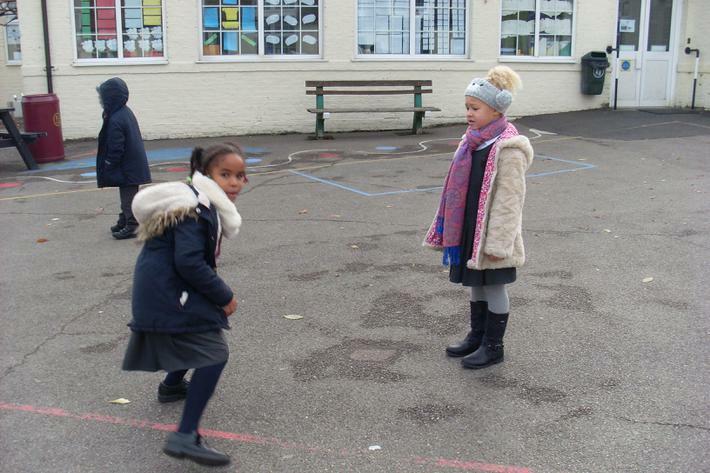 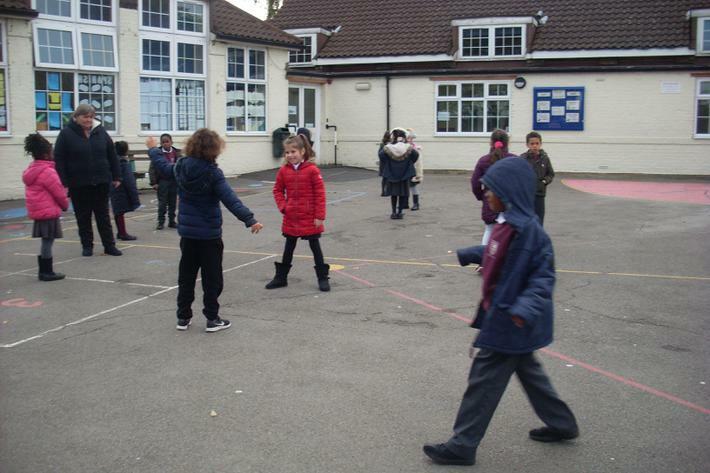 During out topic lesson today, we took a short walk around our school to look at the features. 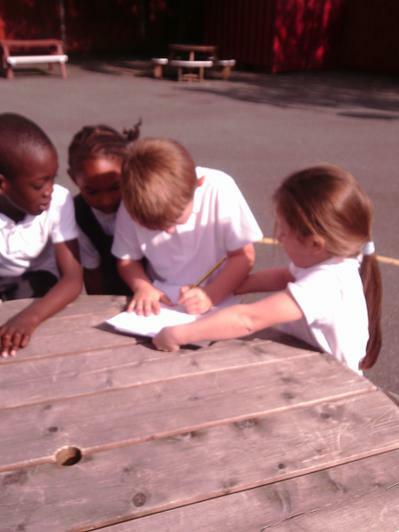 We had to make observations and discuss how our school is similar to schools in the past and how it is different. 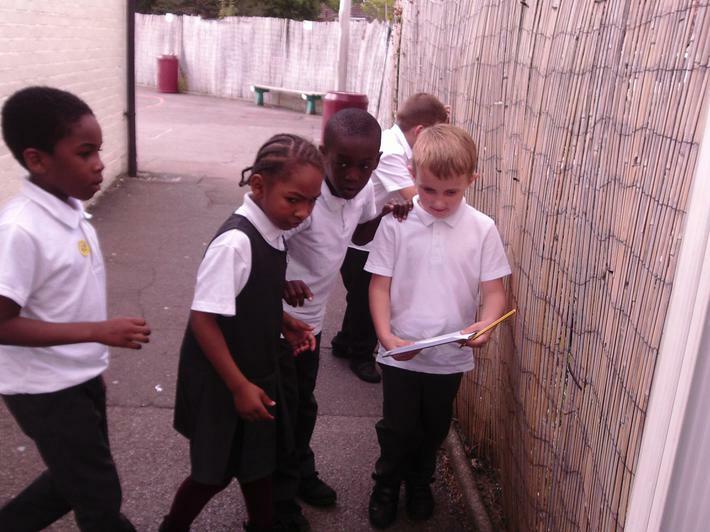 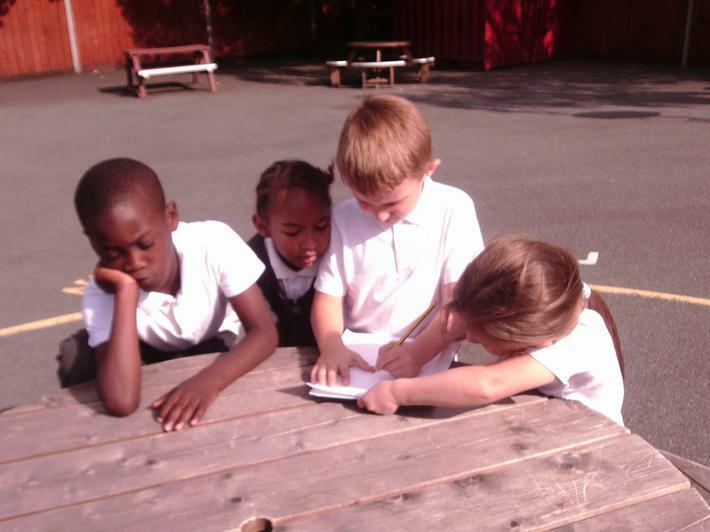 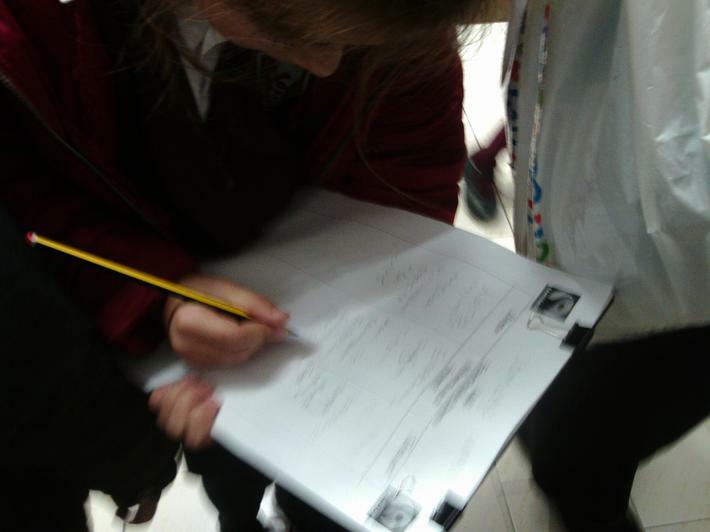 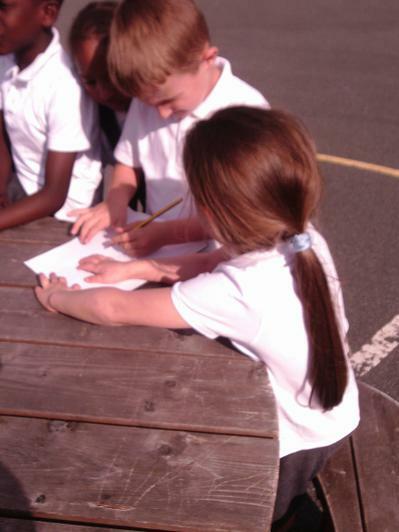 We also had questions that we needed to find the answers to whilst we were walking around in our groups. 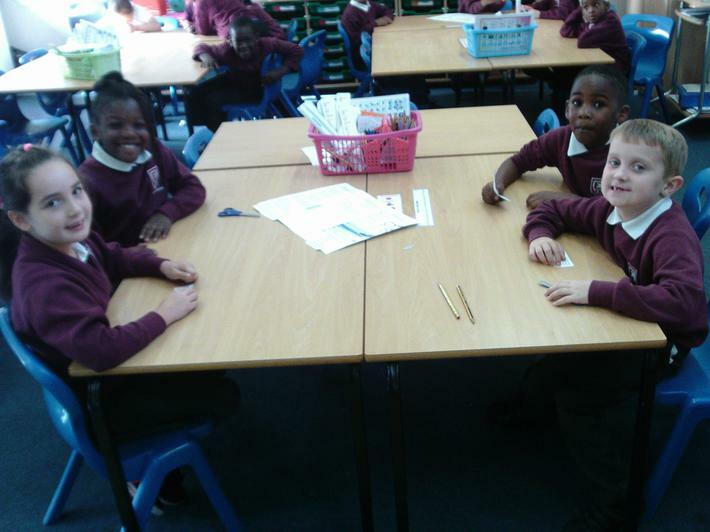 Hello everyone and welcome back to school. 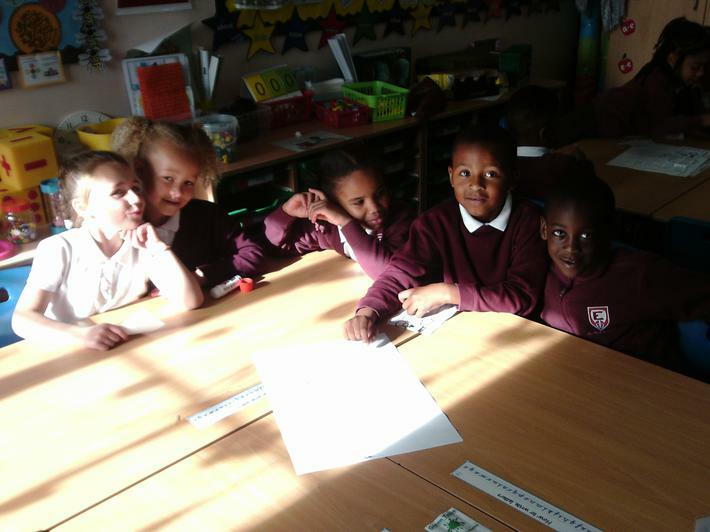 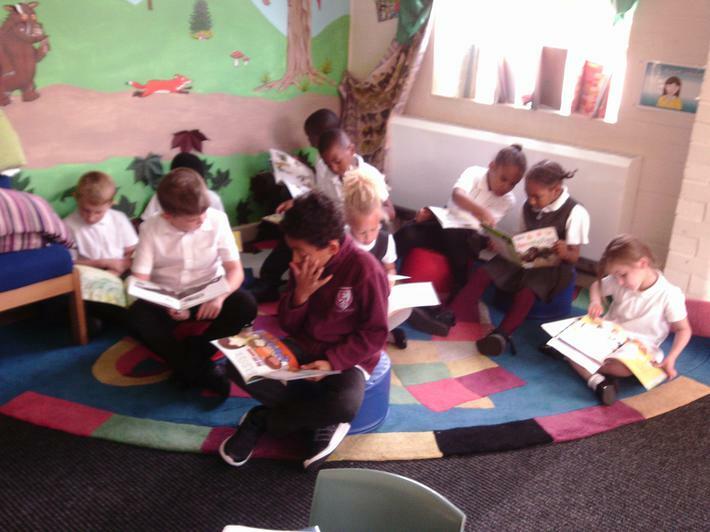 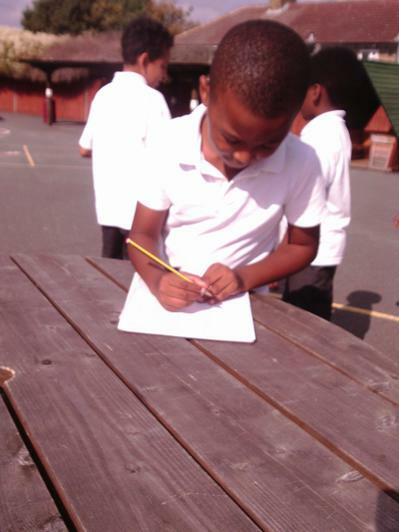 We hope you have had a lovely rest and lots of fun over the summer and are ready to take on a new challange in Year 2. 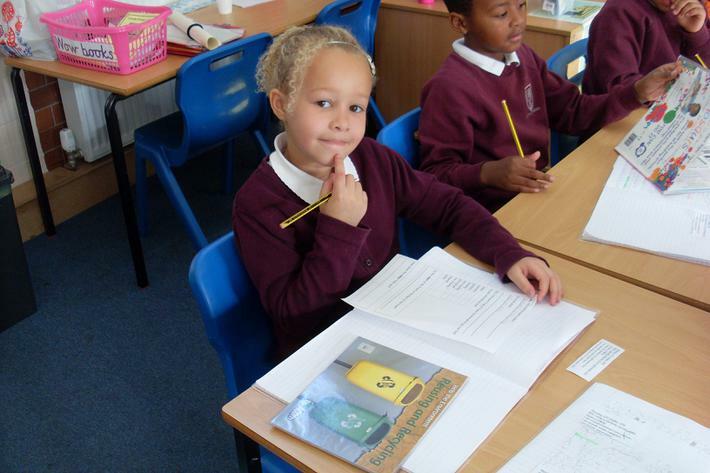 We have lots of exciting topics coming up that we know you will enjoy very much. 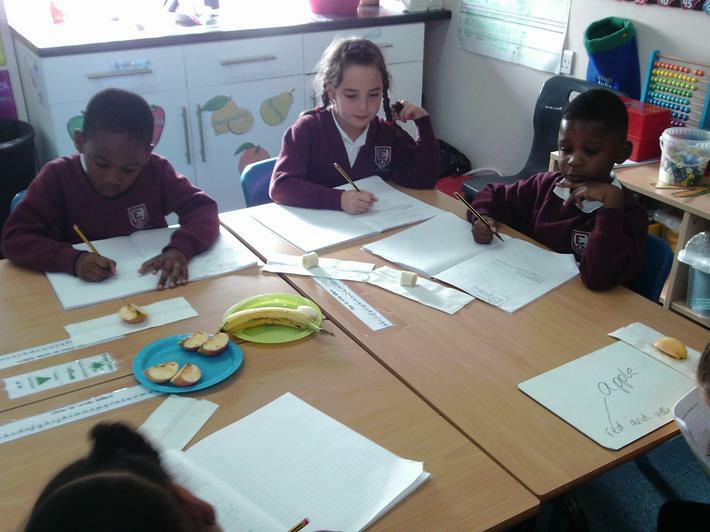 Our Author focus in Literacy this half term is Anthony Browne and we will be learning all about healthy eating and exercise in Science. 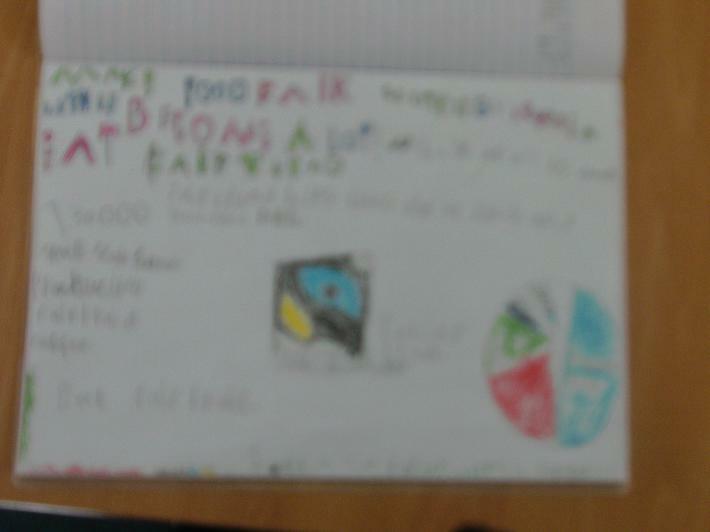 Finally, a very big thank you and well done to all the children who brought in their topic related homework that they were set over the summer. 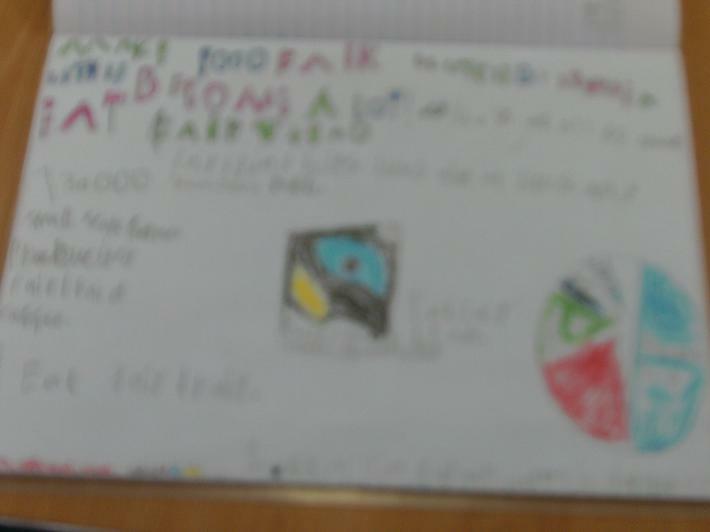 The shoebox models and drawings are all fantastic.